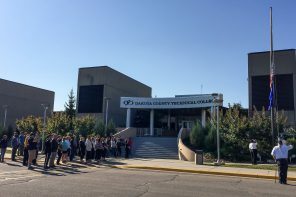 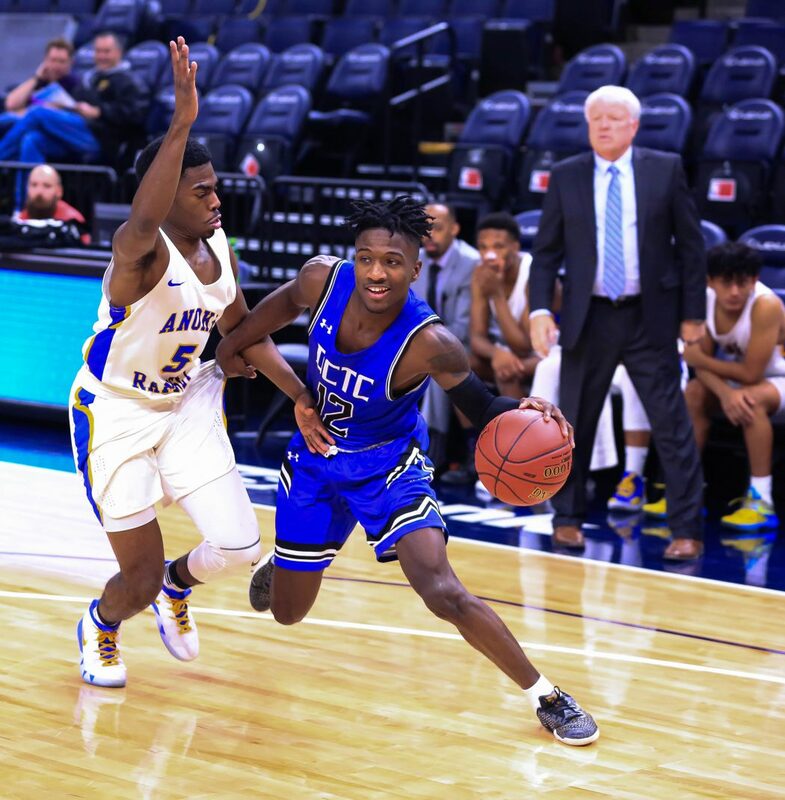 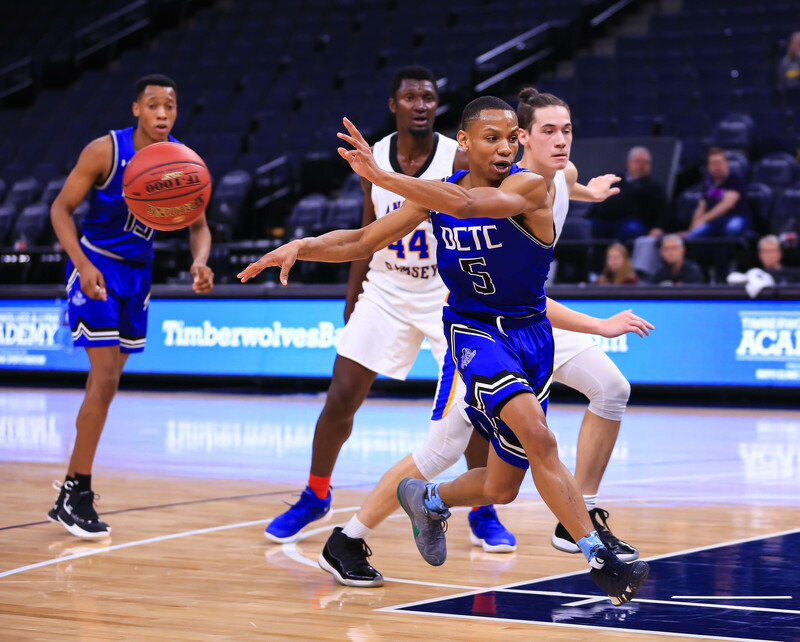 Dakota County Technical College basketball is ranked #16 in the country by the NJCAA Division II Men’s Basketball 2018–19 preseason poll taken October 29, 2018. 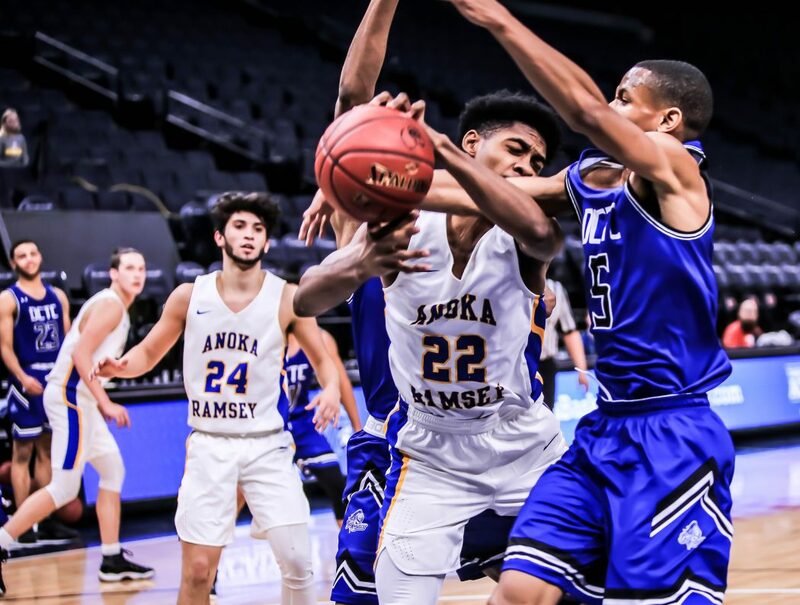 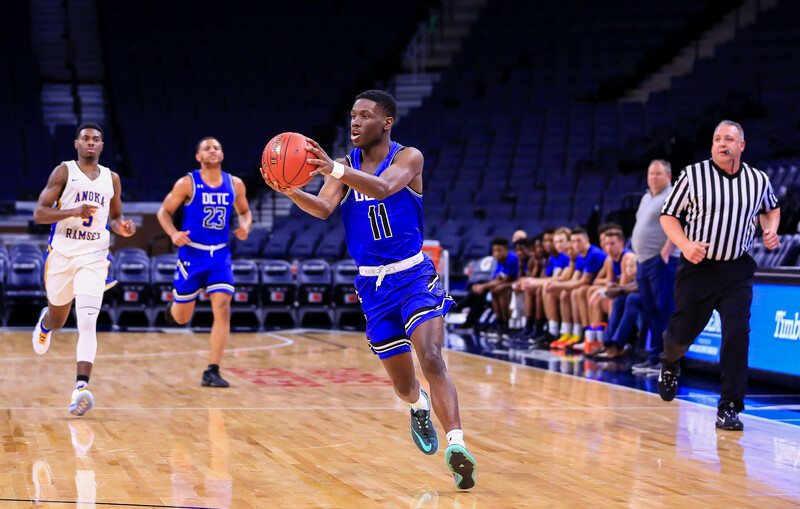 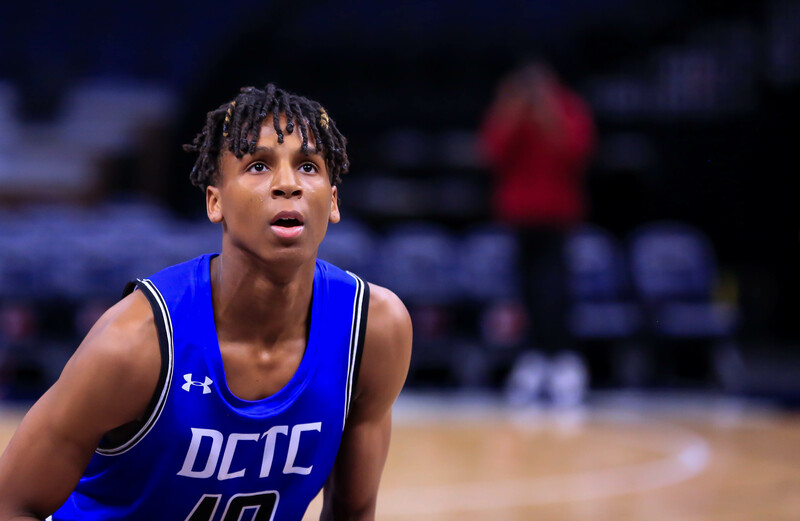 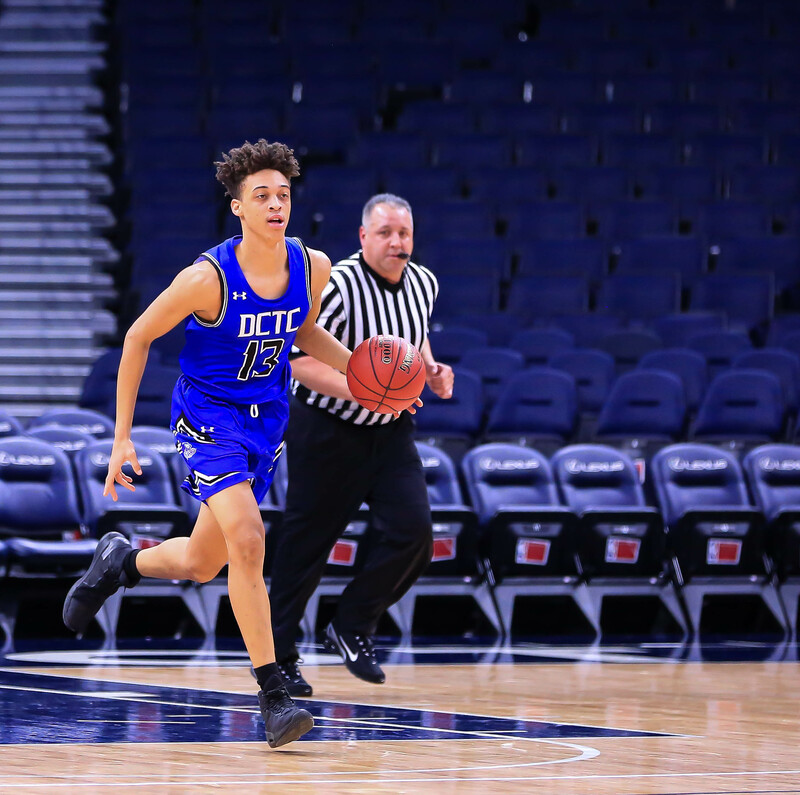 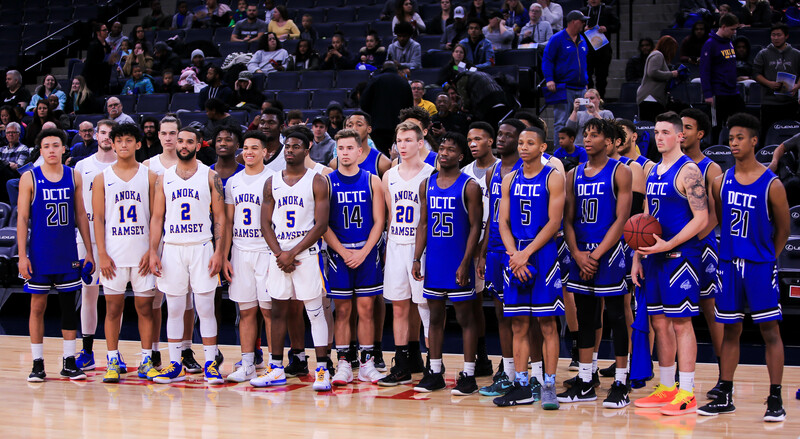 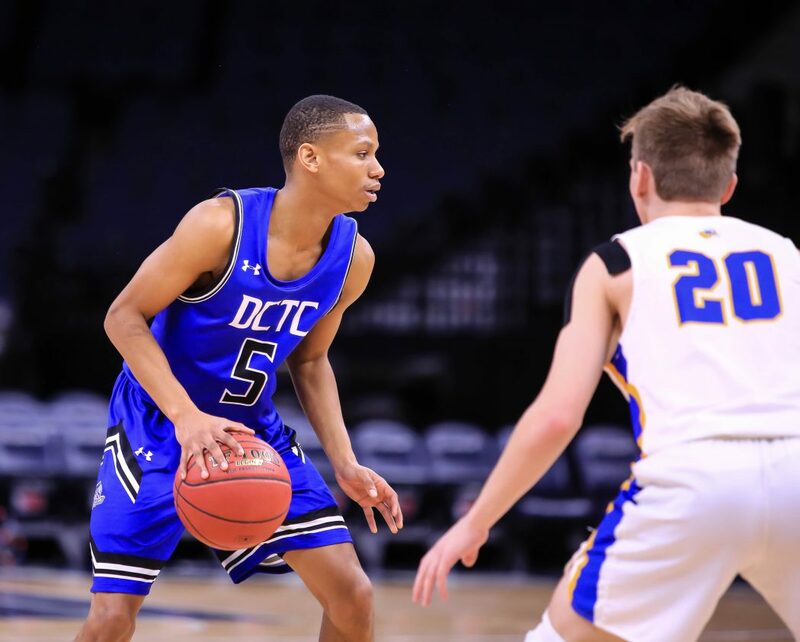 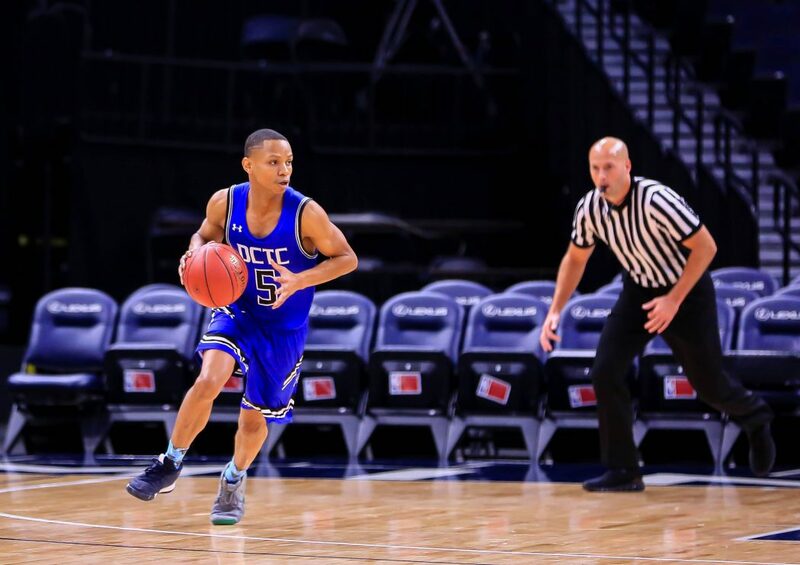 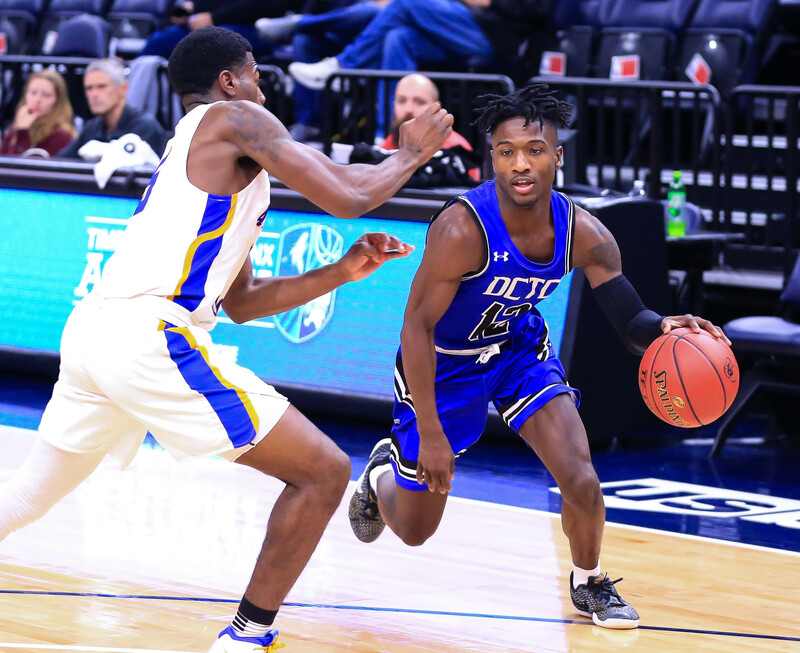 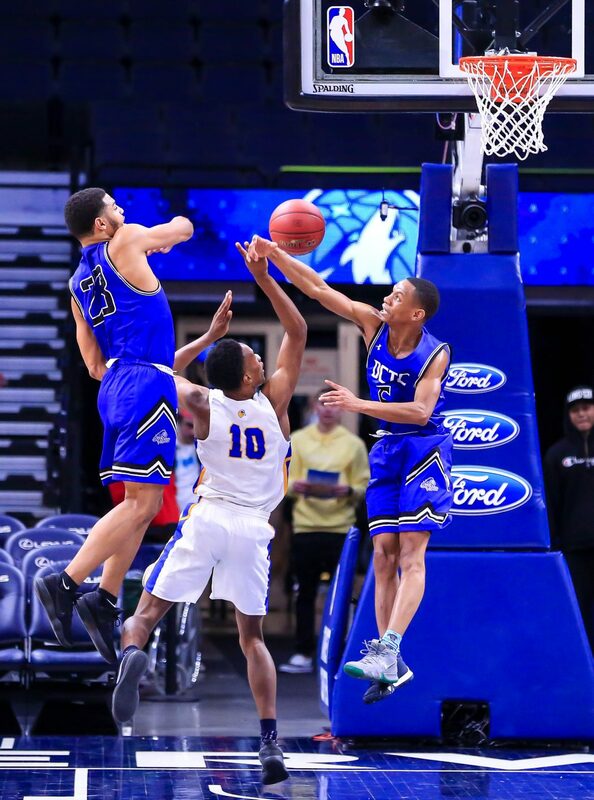 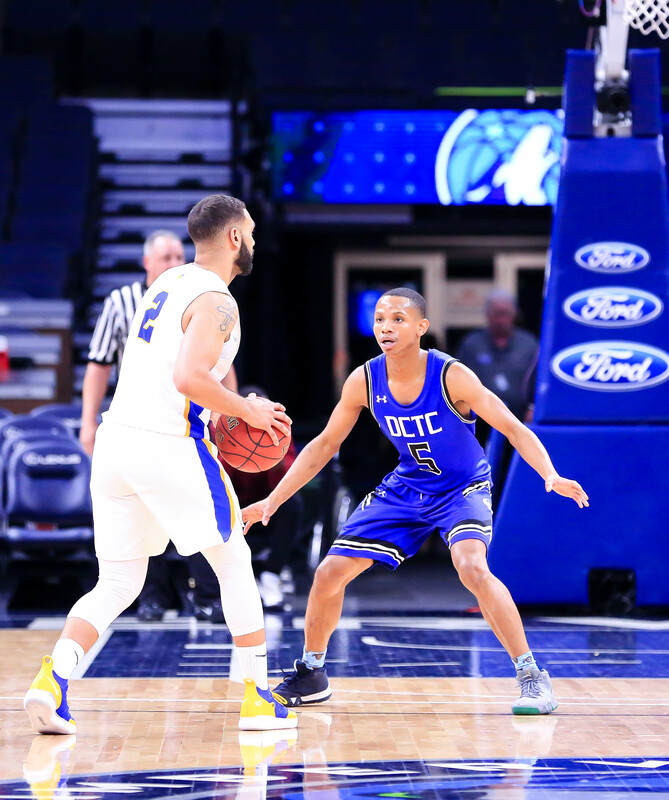 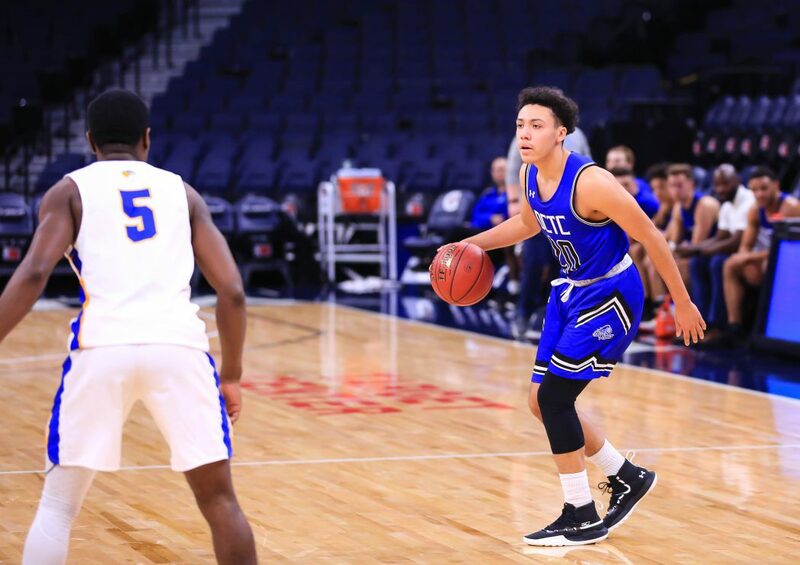 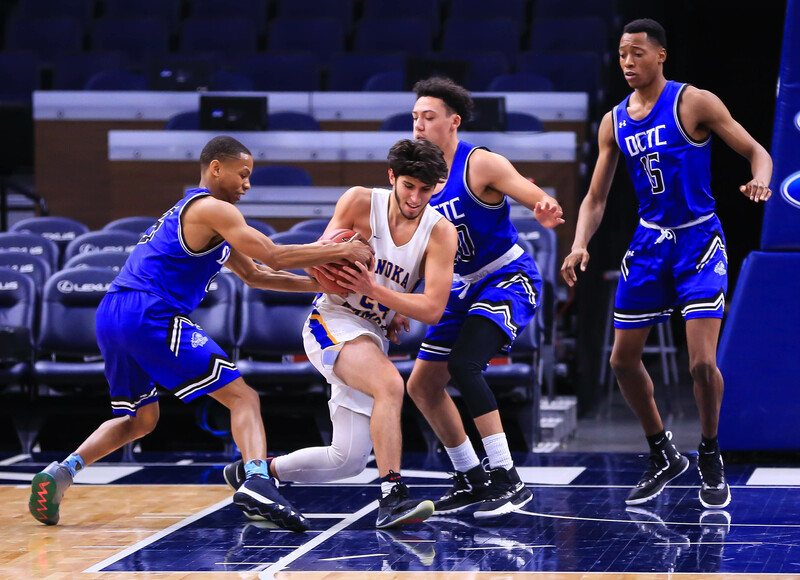 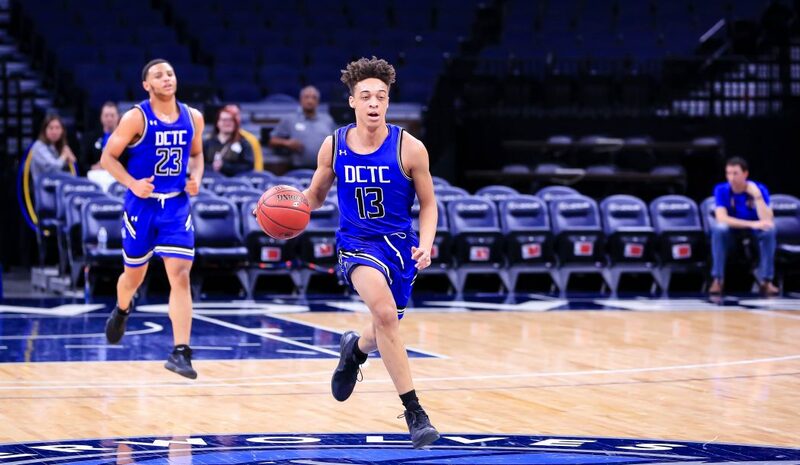 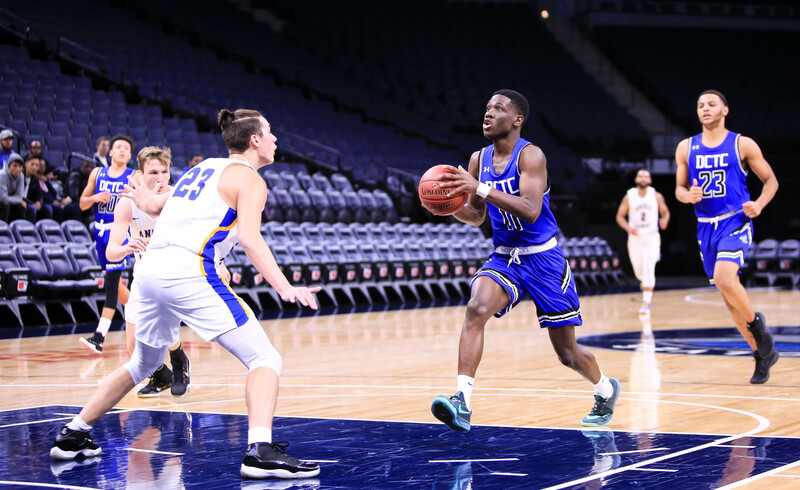 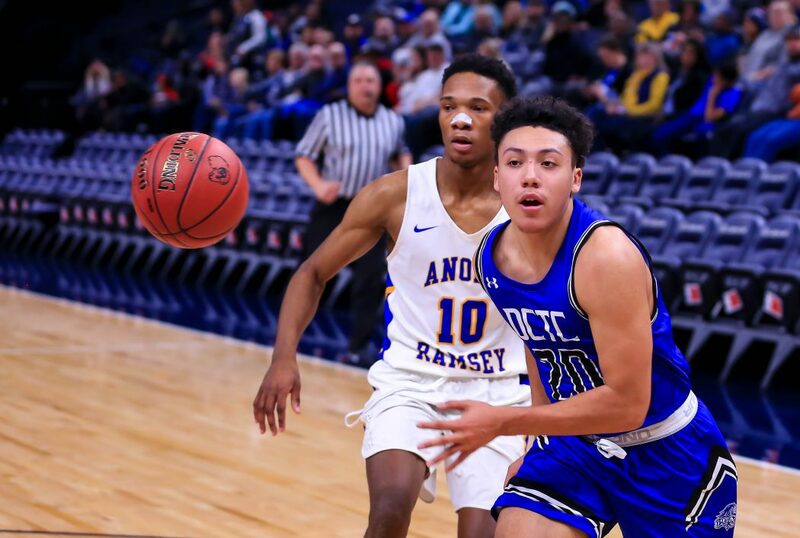 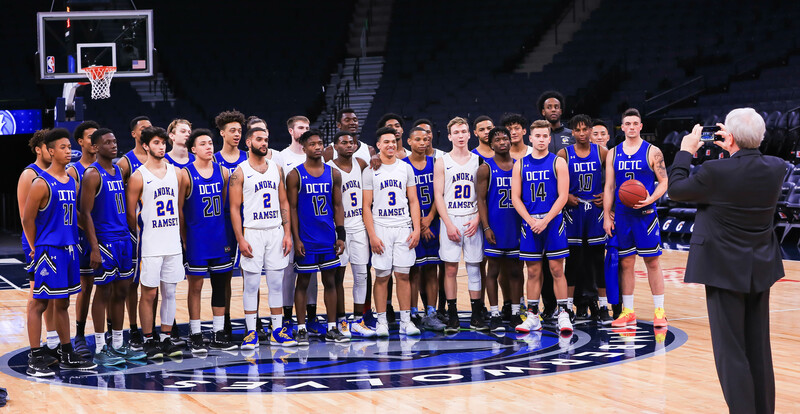 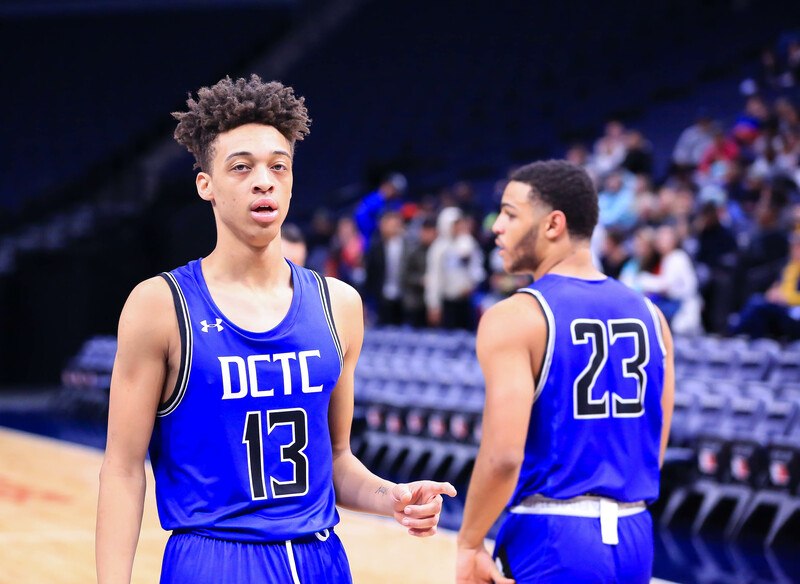 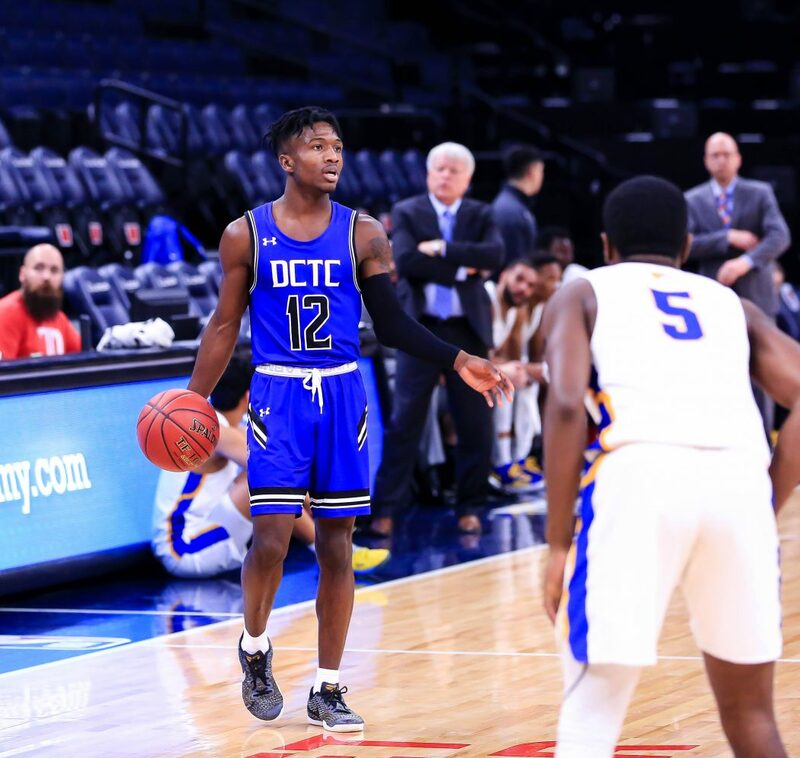 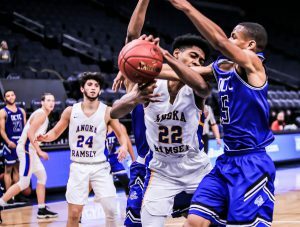 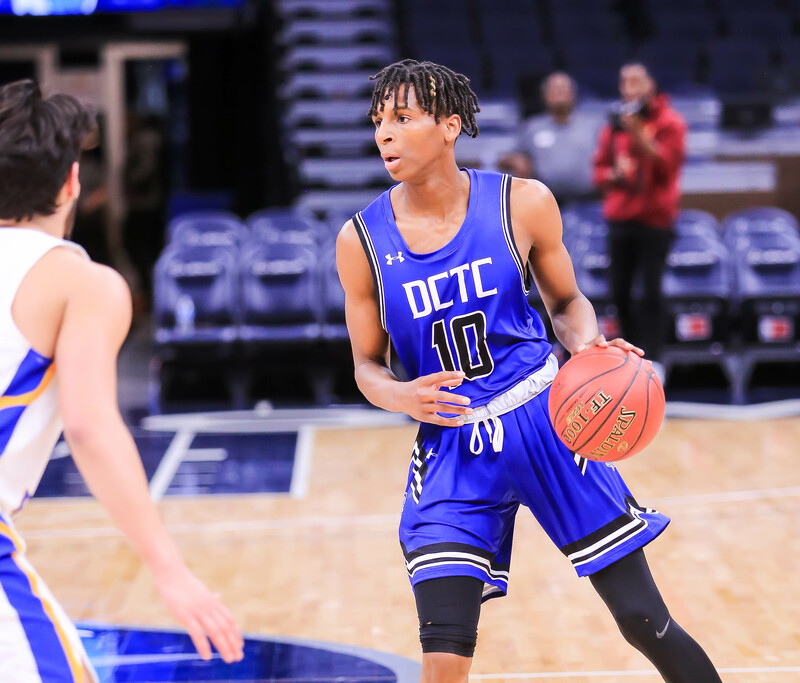 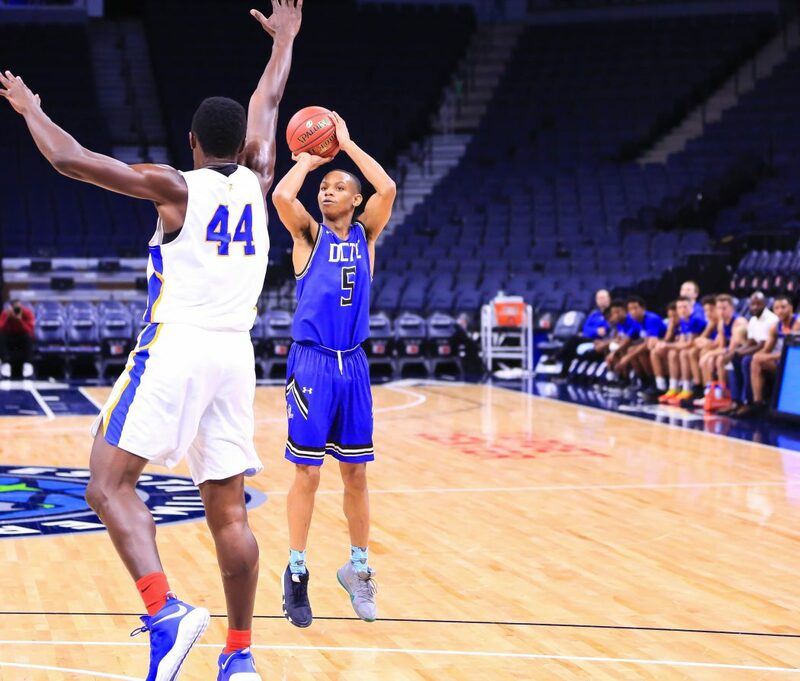 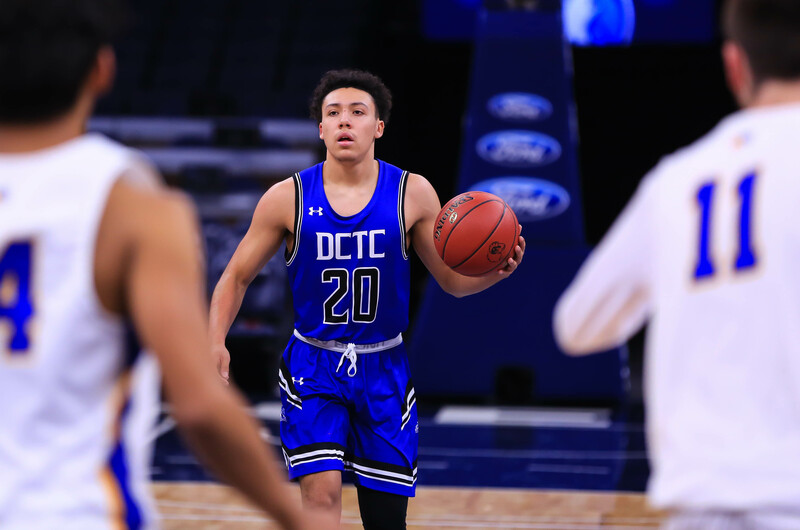 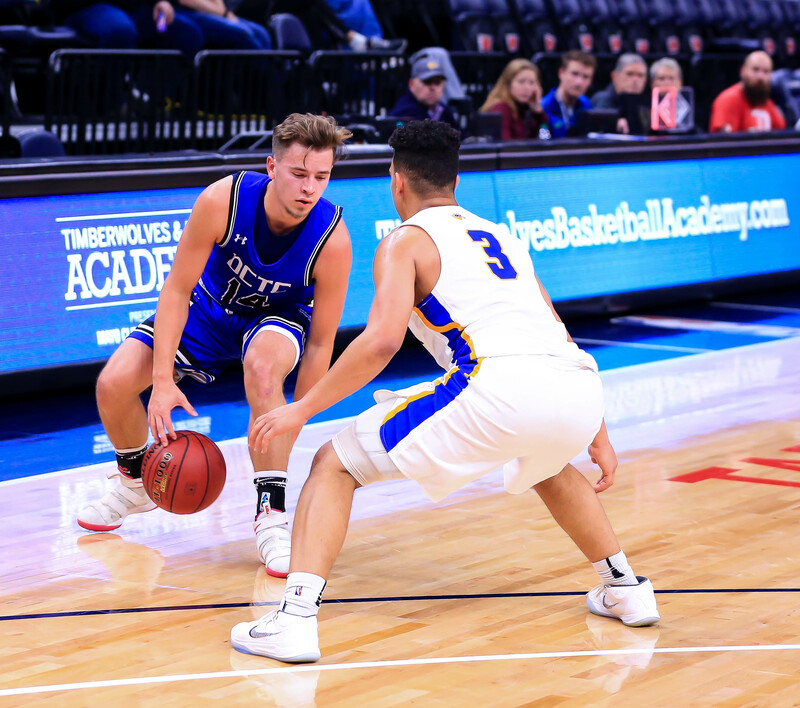 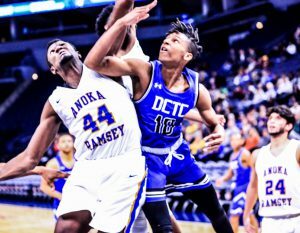 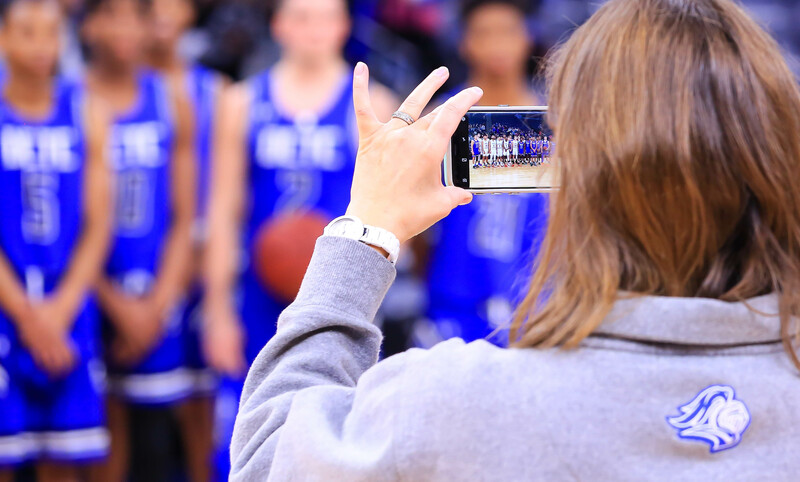 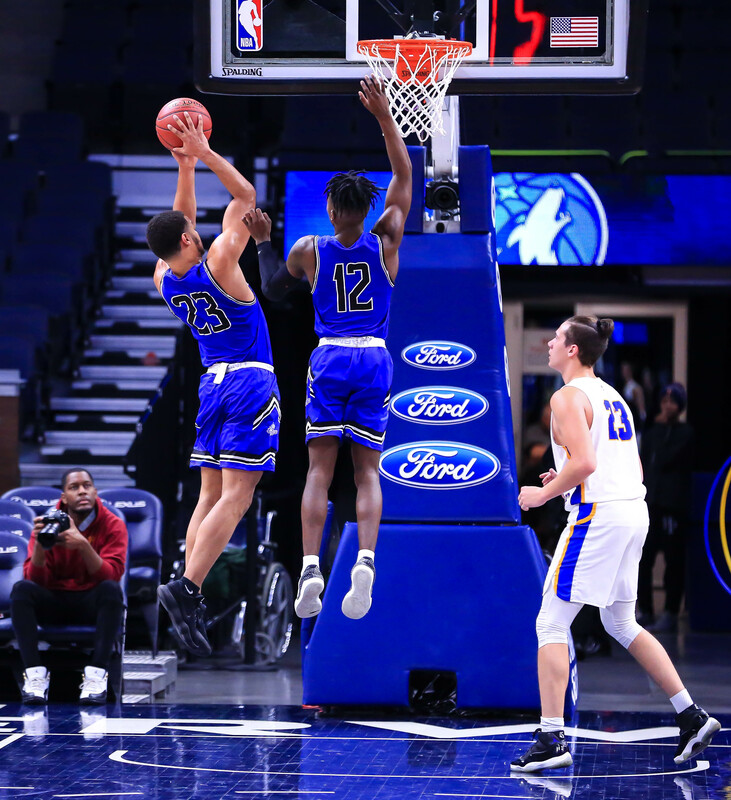 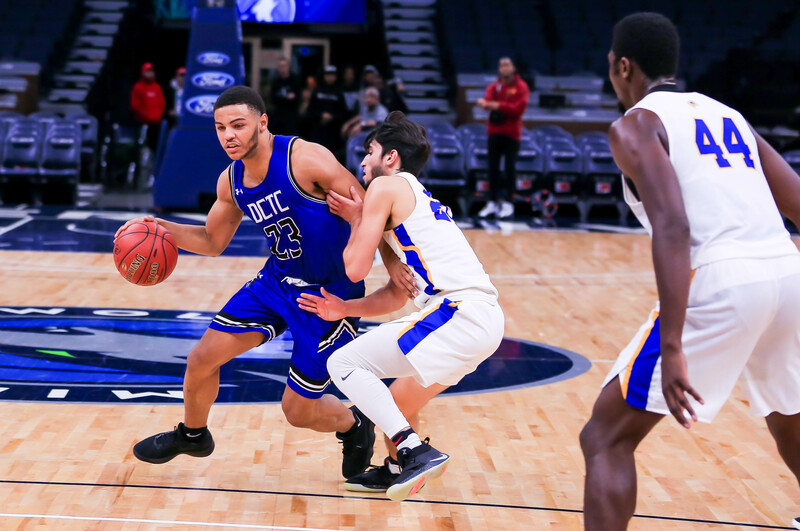 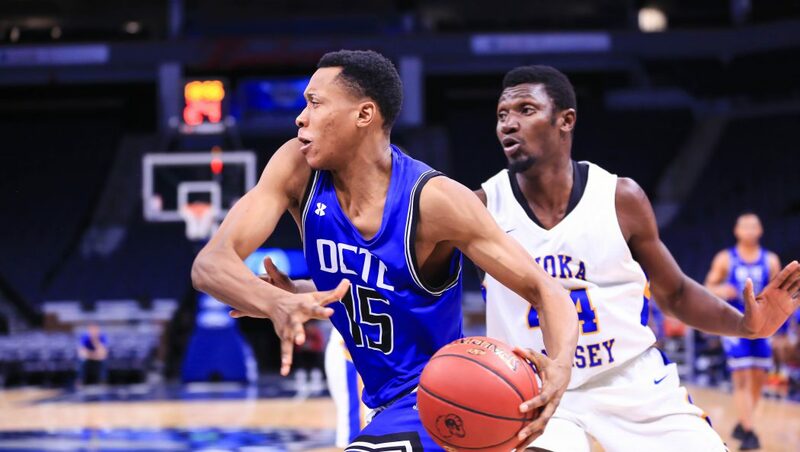 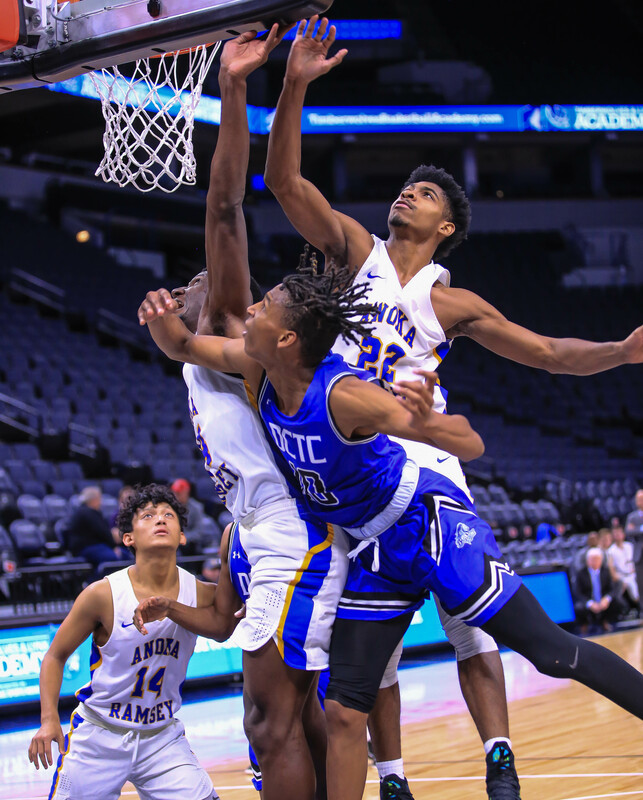 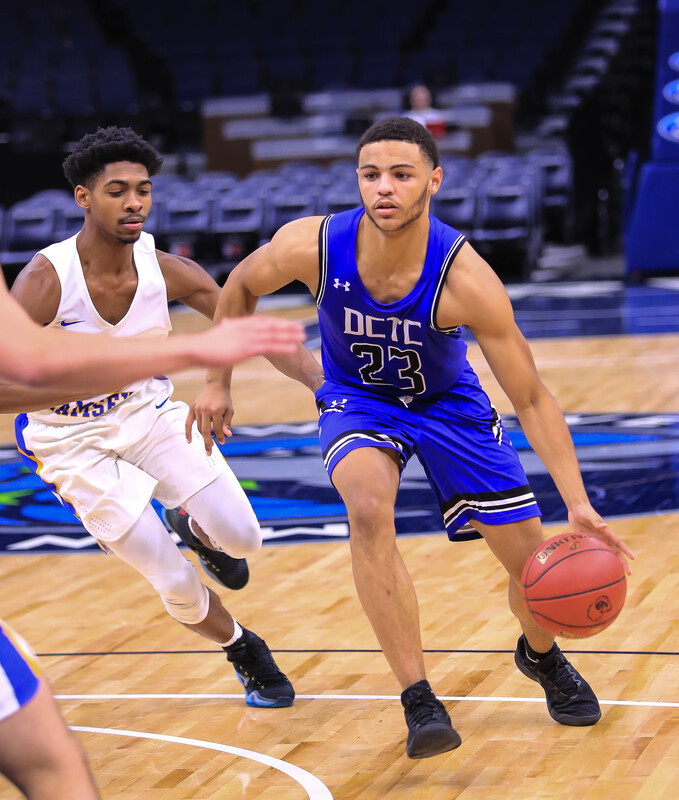 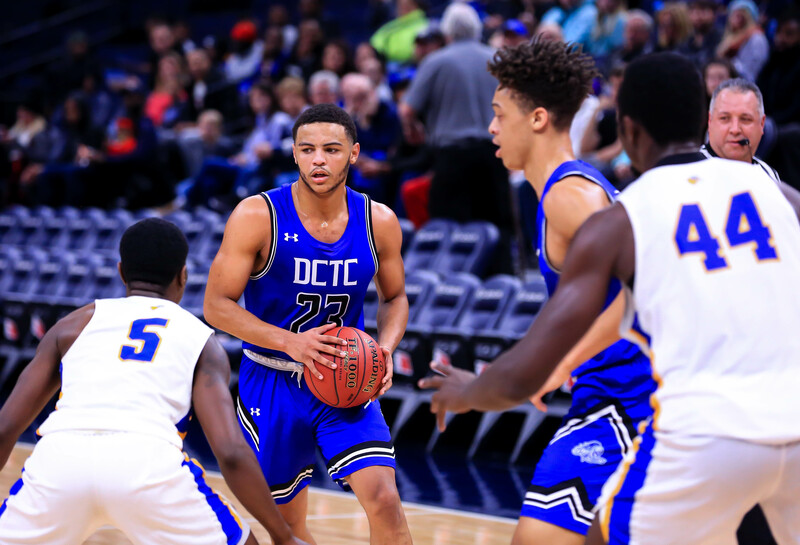 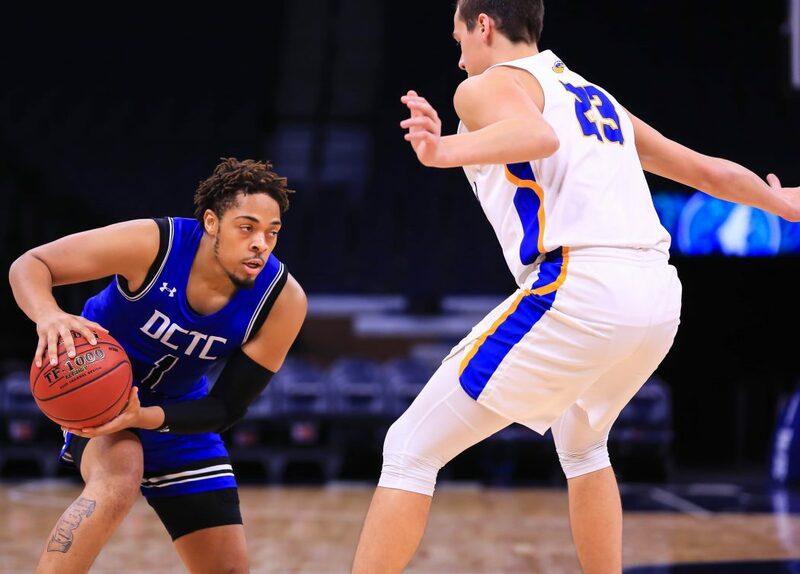 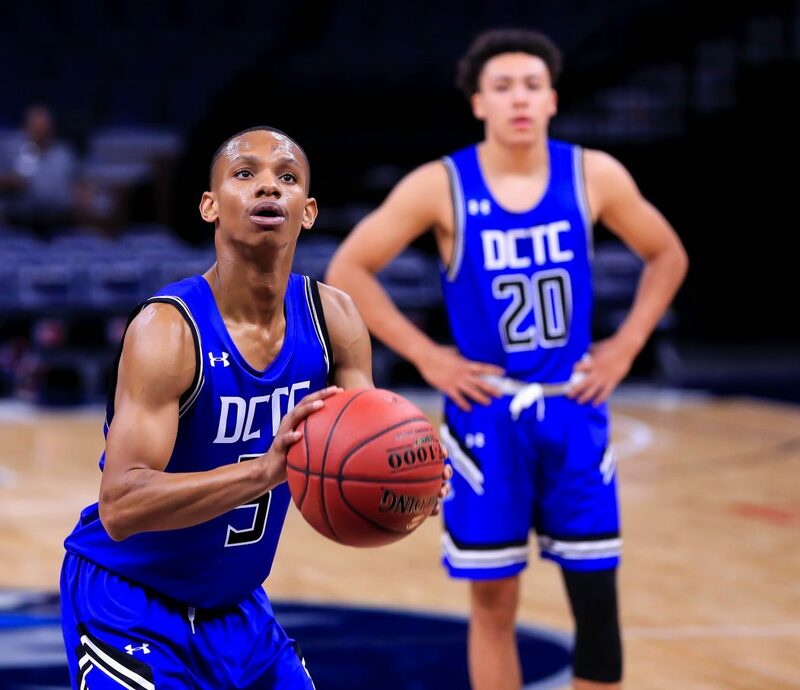 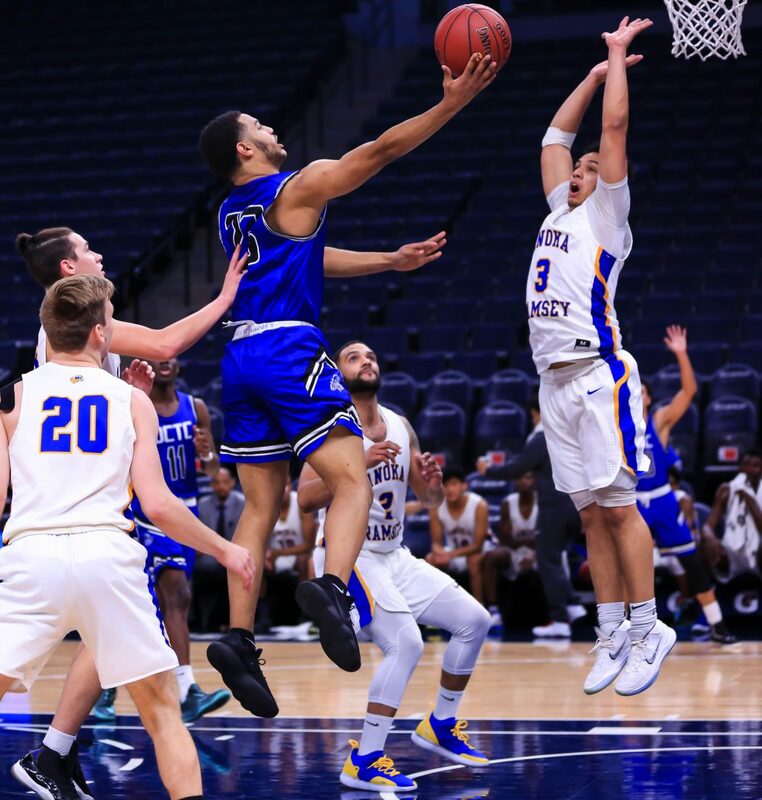 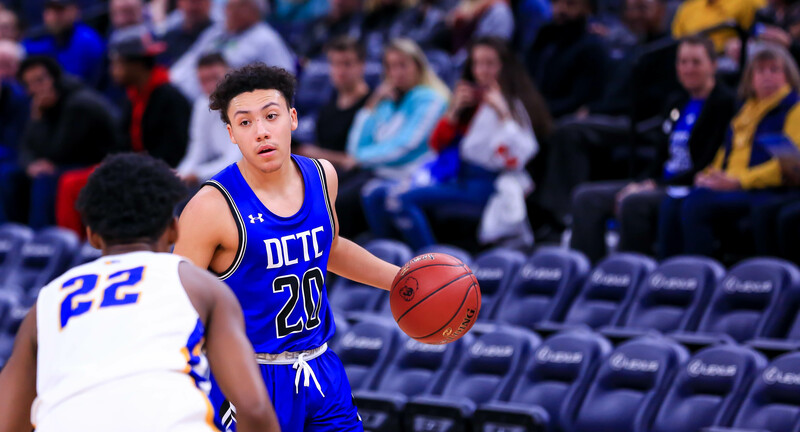 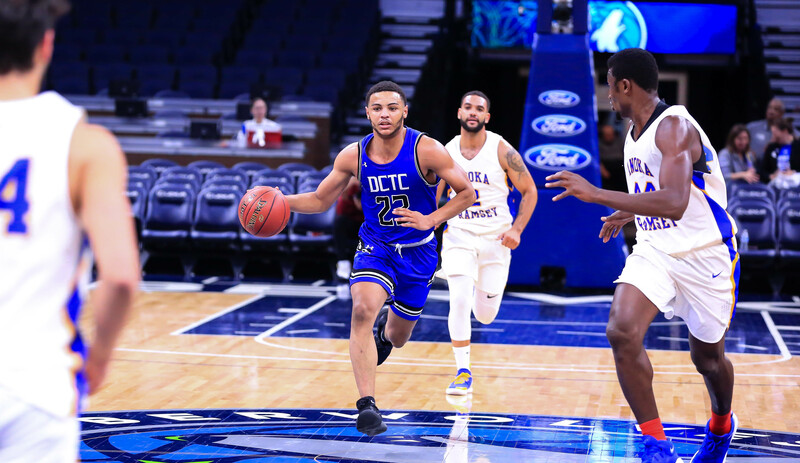 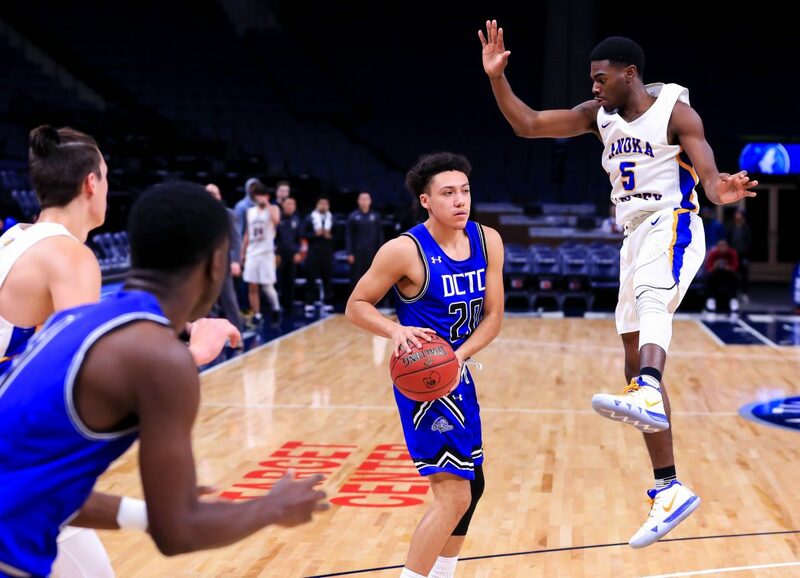 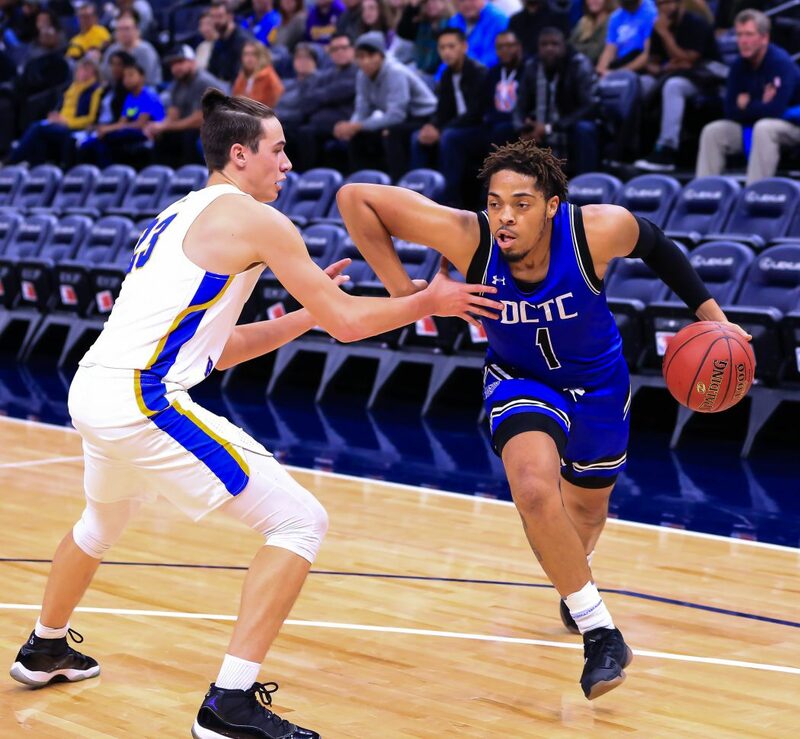 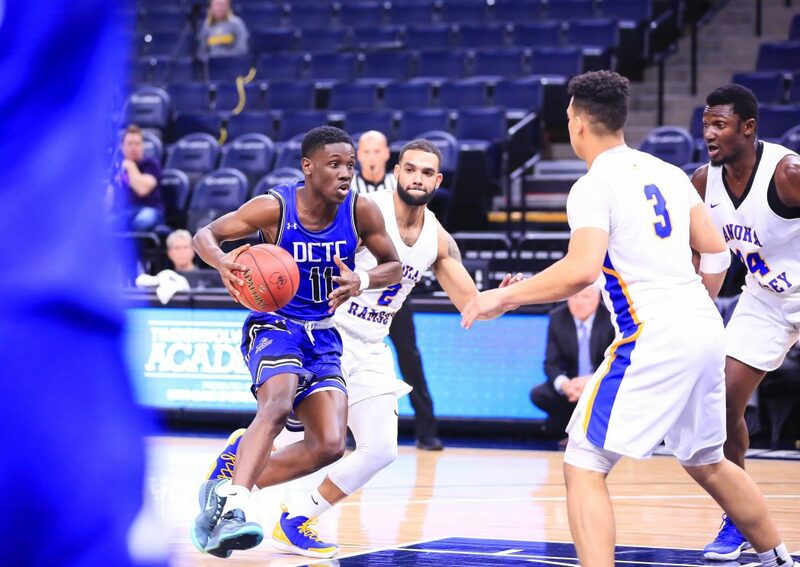 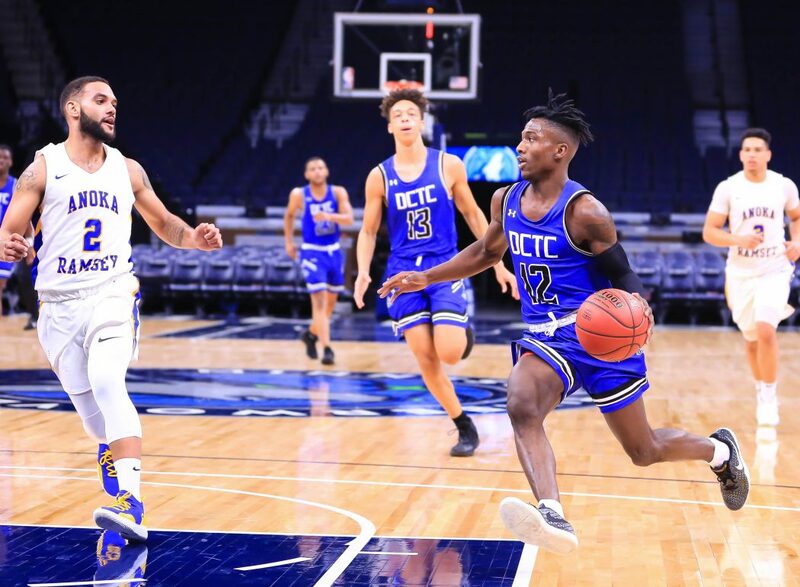 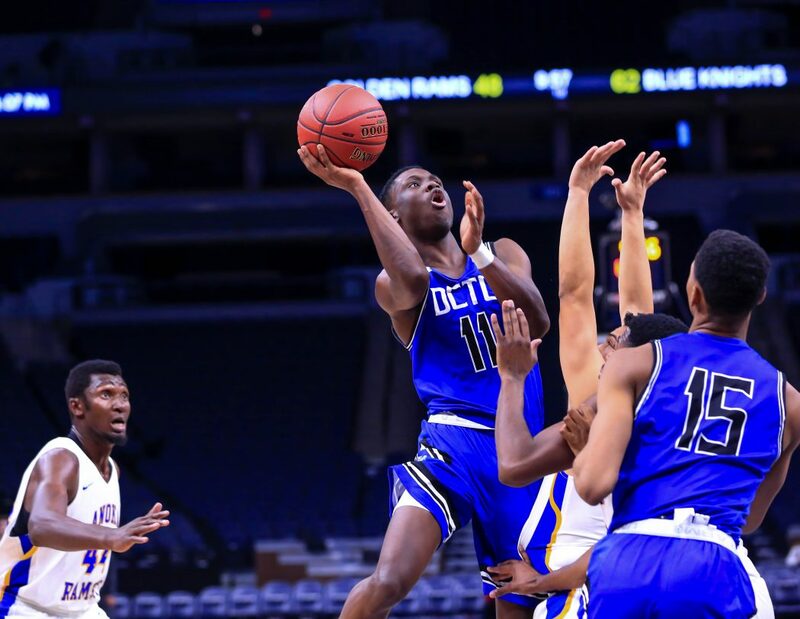 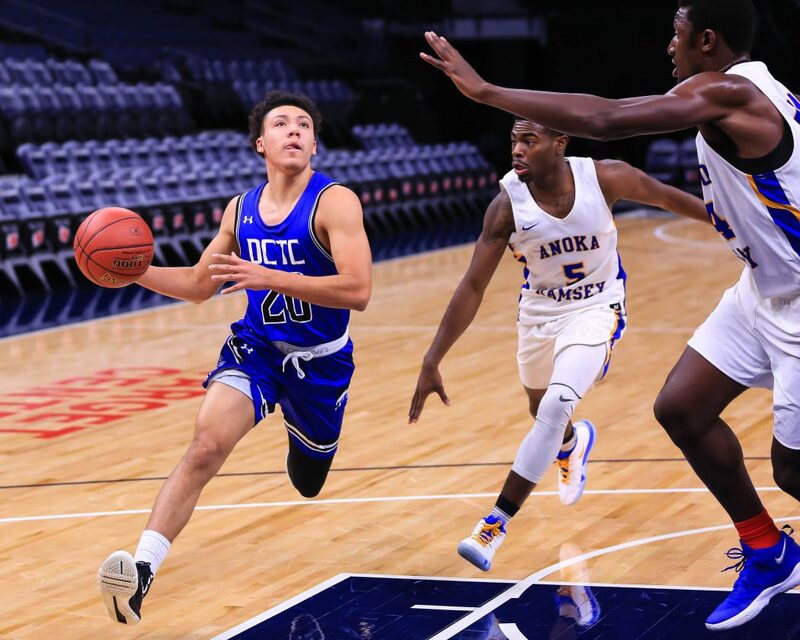 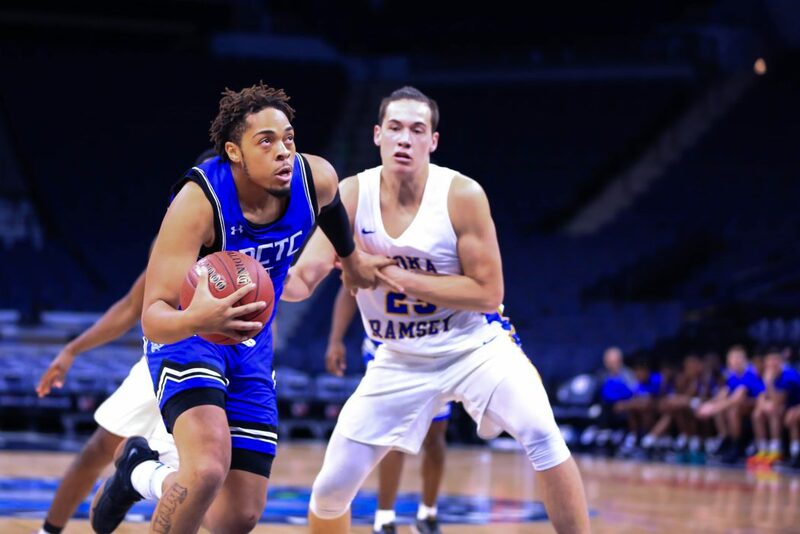 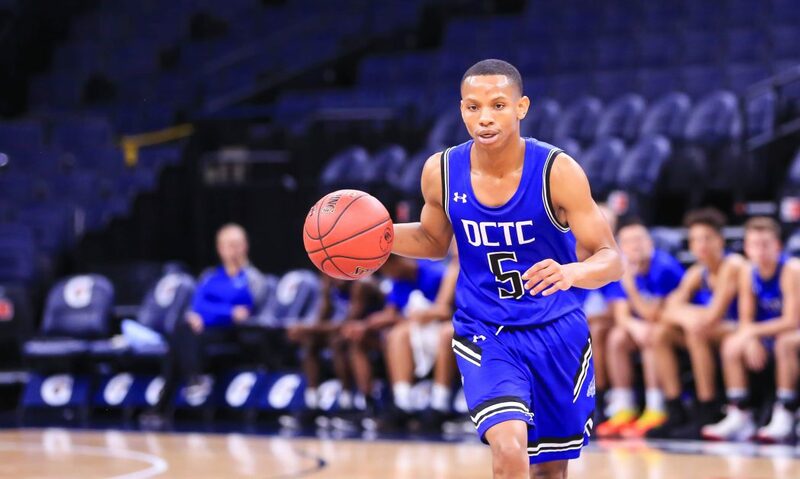 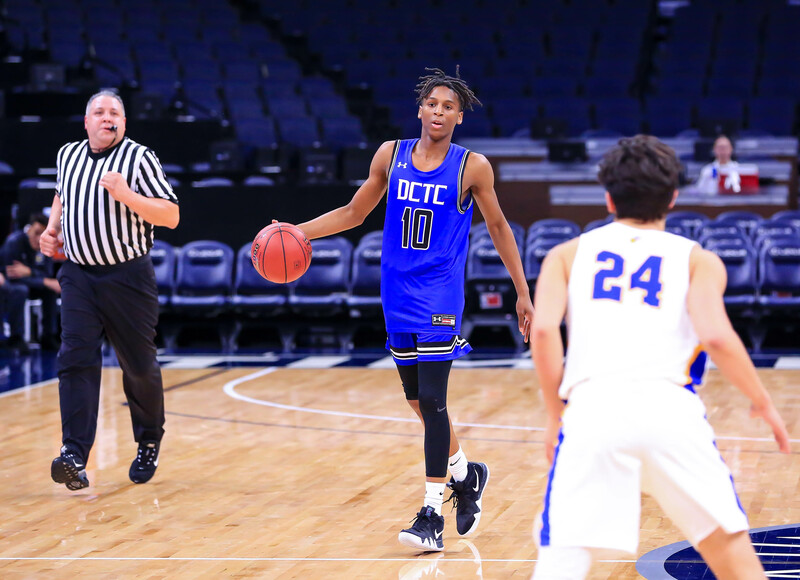 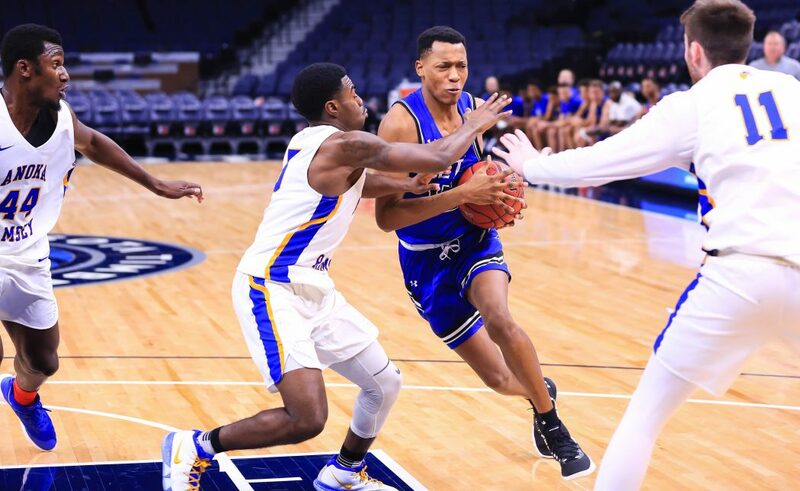 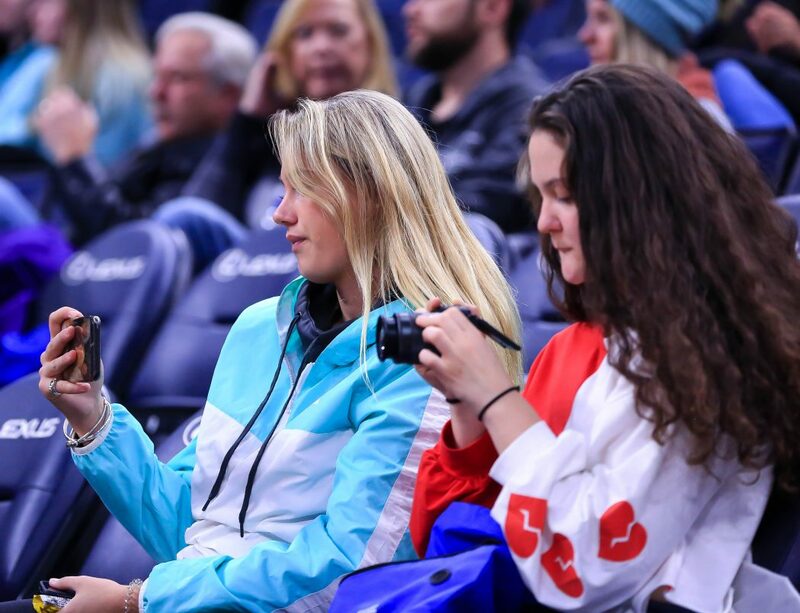 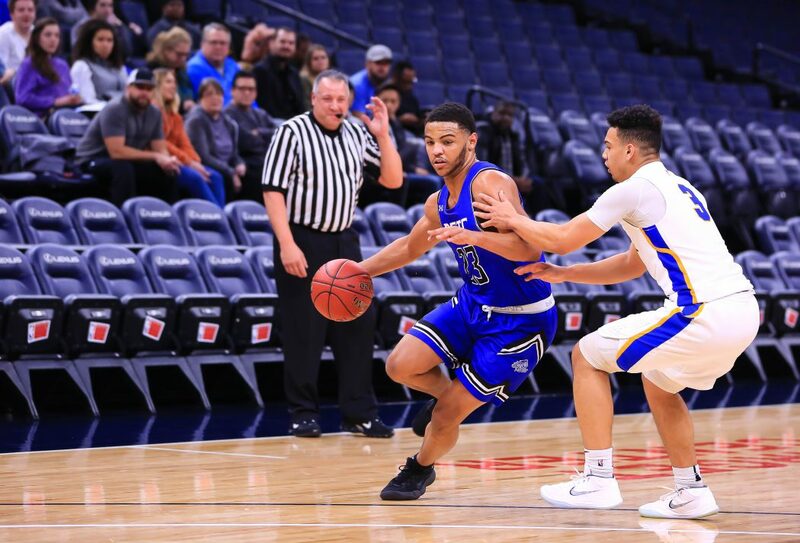 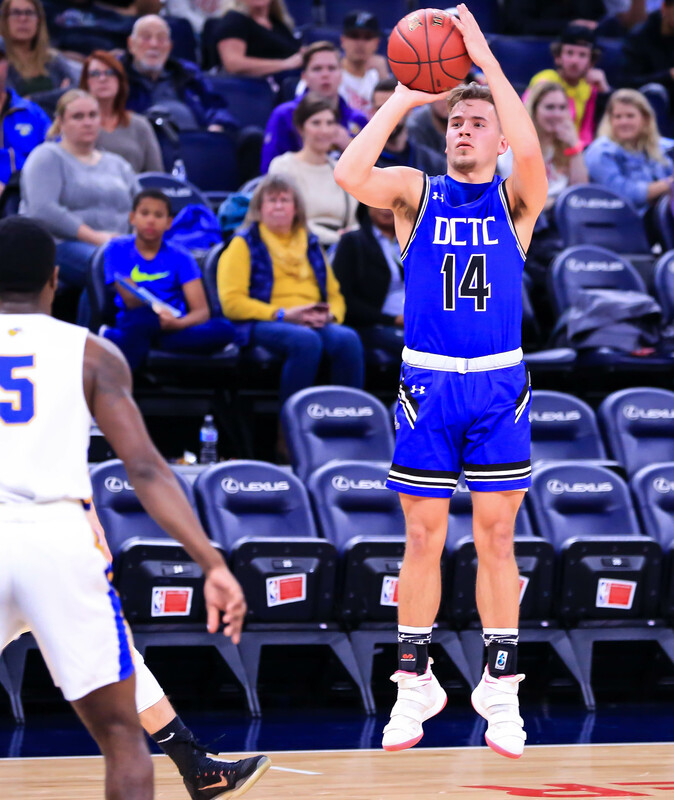 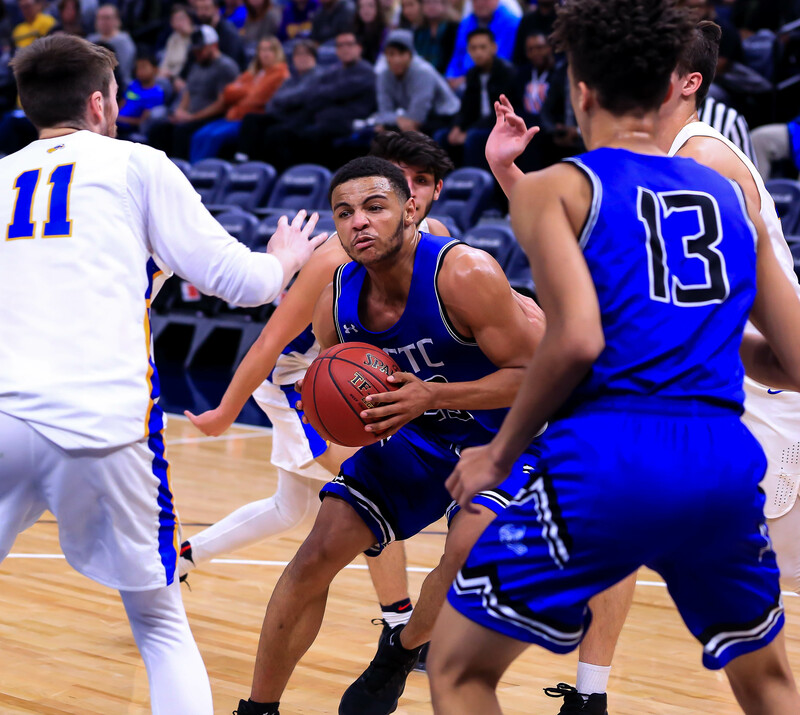 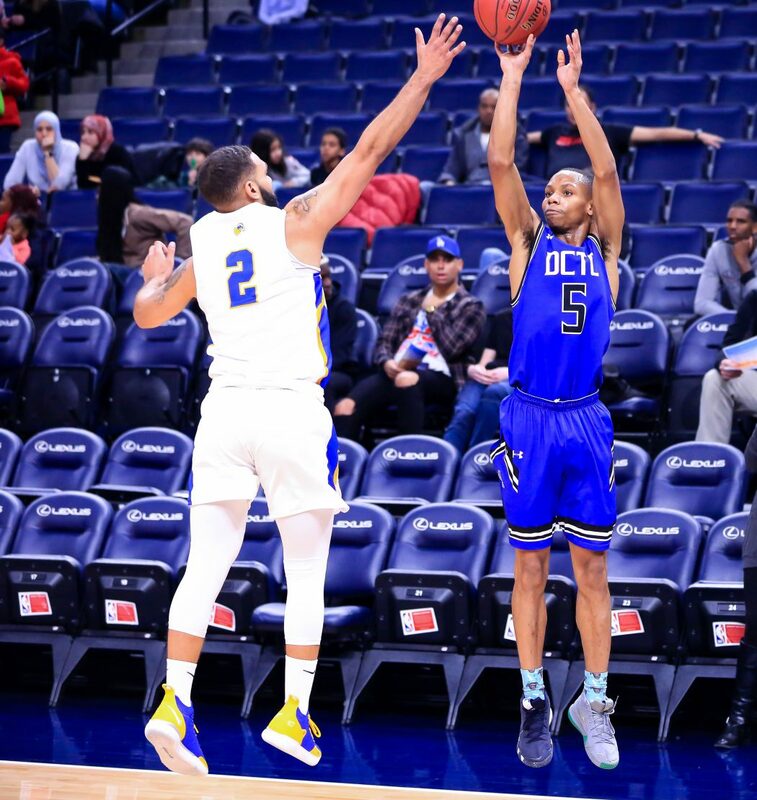 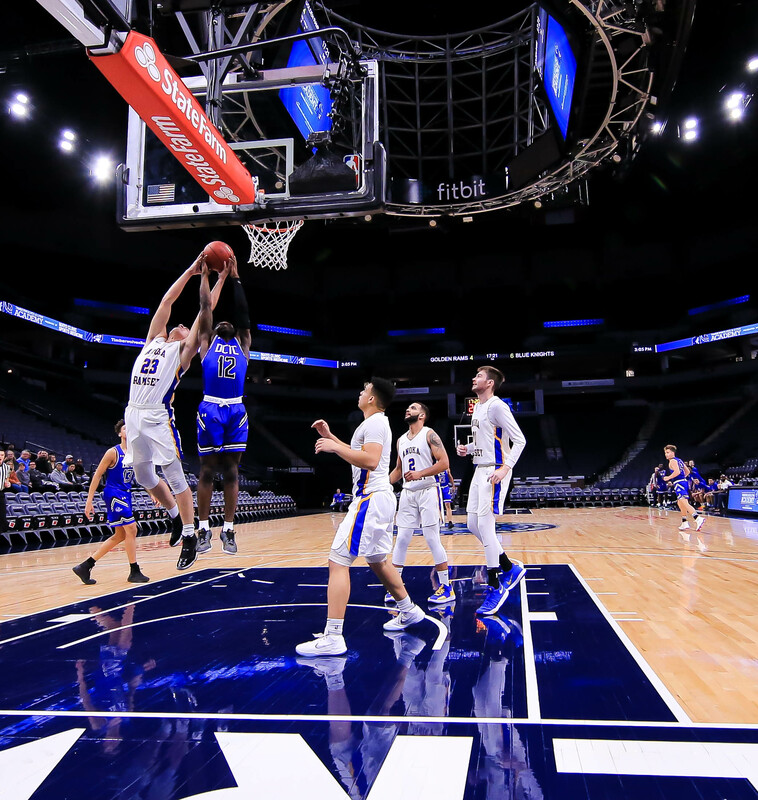 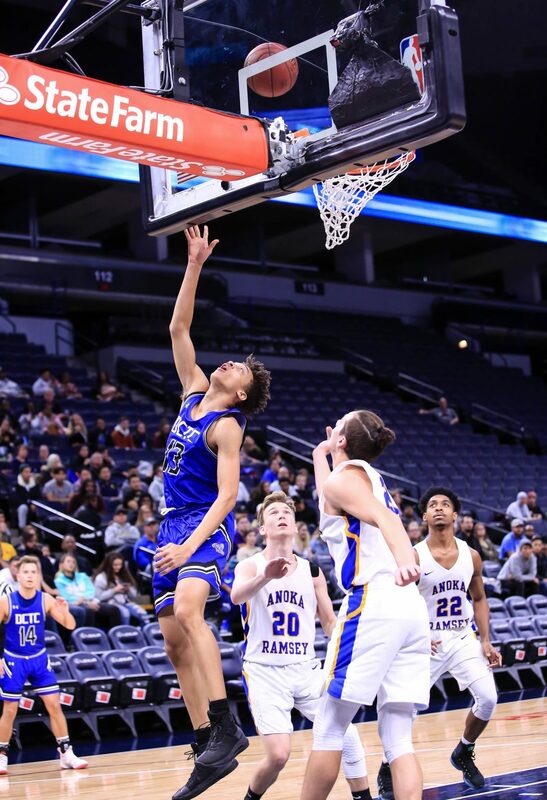 The Blue Knights are 6–0 on the season after defeating the Anoka-Ramsey Community College Golden Rams (2–1) 78–65 Saturday afternoon, November 17, 2018, at Target Center. 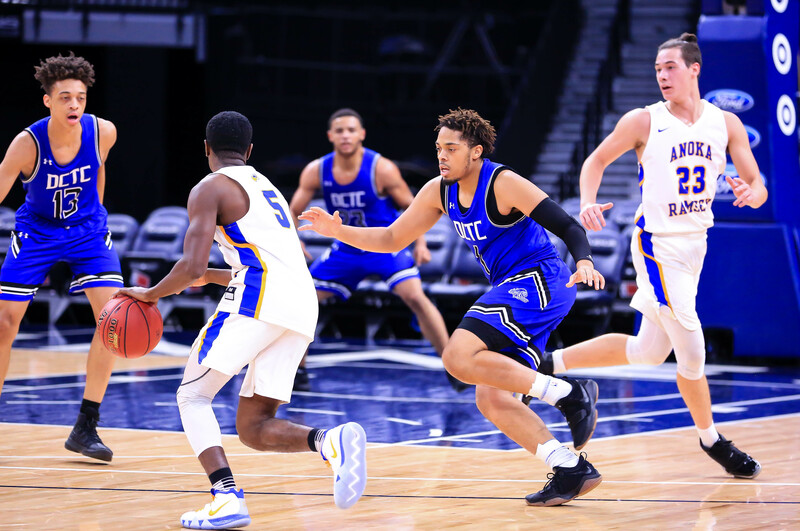 The Knights are the only DII team in Minnesota to break the top 20. 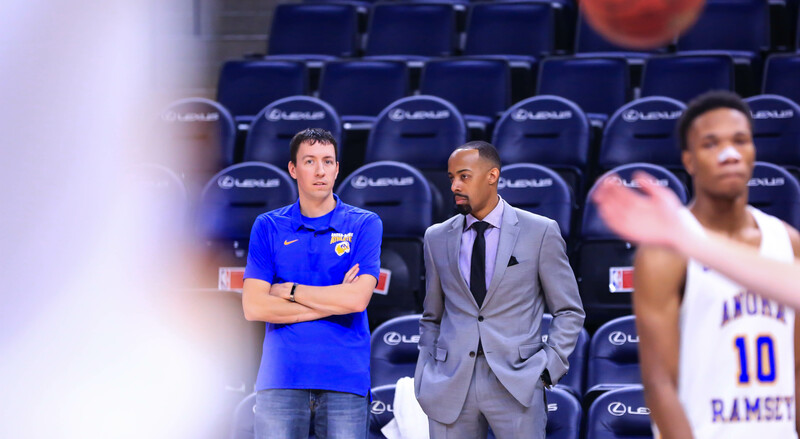 Head Coach Kelly Boe has put together his best start in his third season at the team’s helm. 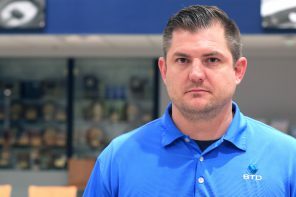 Boe was named NJCAA DII Region XIII and District VII Coach of the Year in his first two seasons. 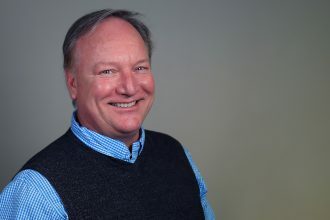 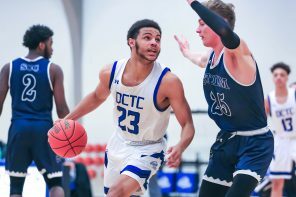 His teams brought home Region XIII and District VII championships both years, advancing to the NJCAA Division II Men’s Basketball National Championship in Danville, Illinois. 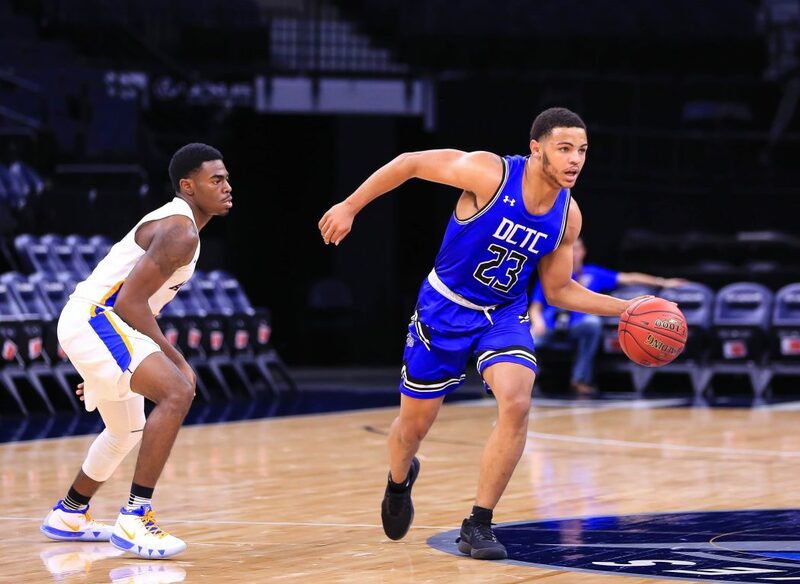 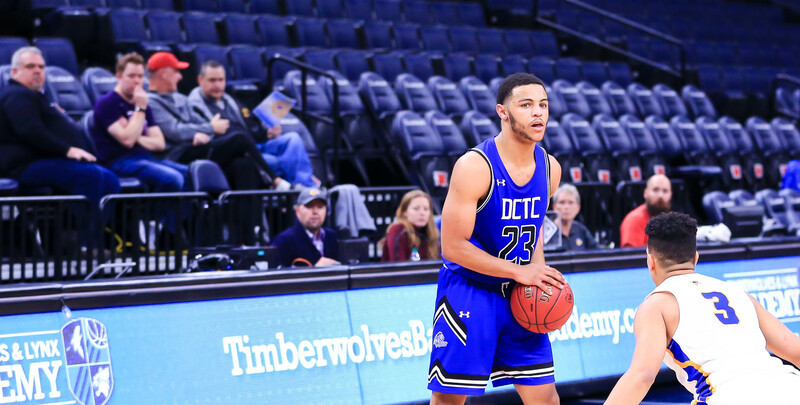 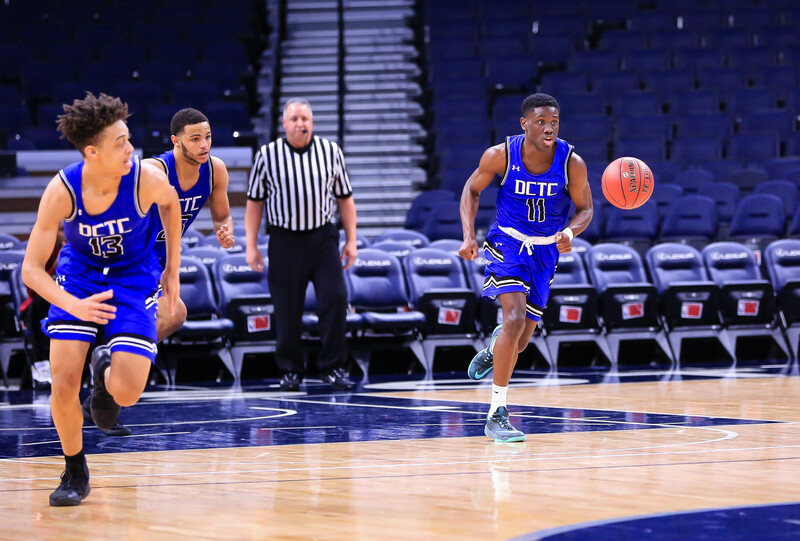 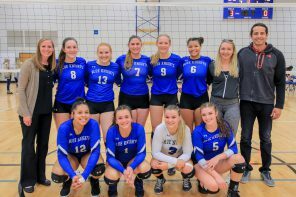 DCTC next faces the North Dakota State College of Science Wildcats (5–1) at 7 p.m. Wednesday, November 21, 2018, at home in the Activities building gym on the campus of Inver Hills Community College in Inver Grove Heights, Minnesota. 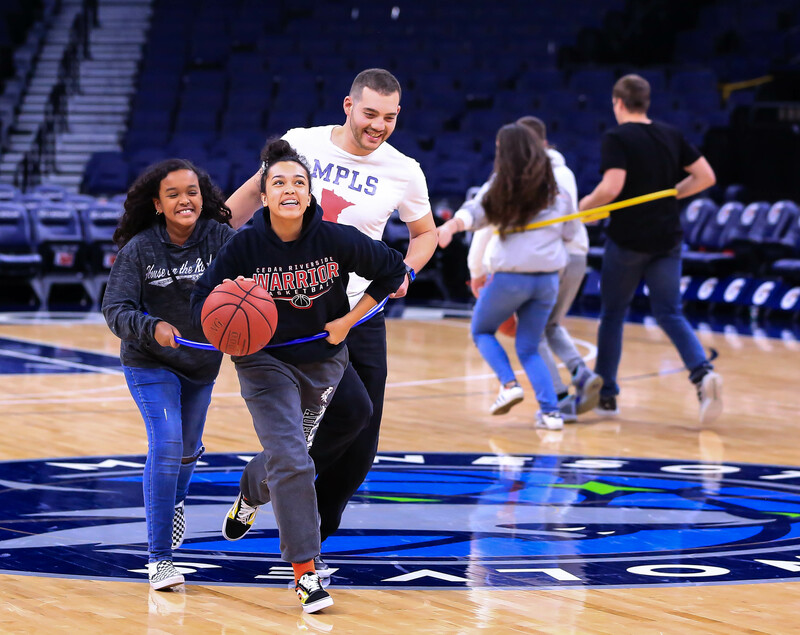 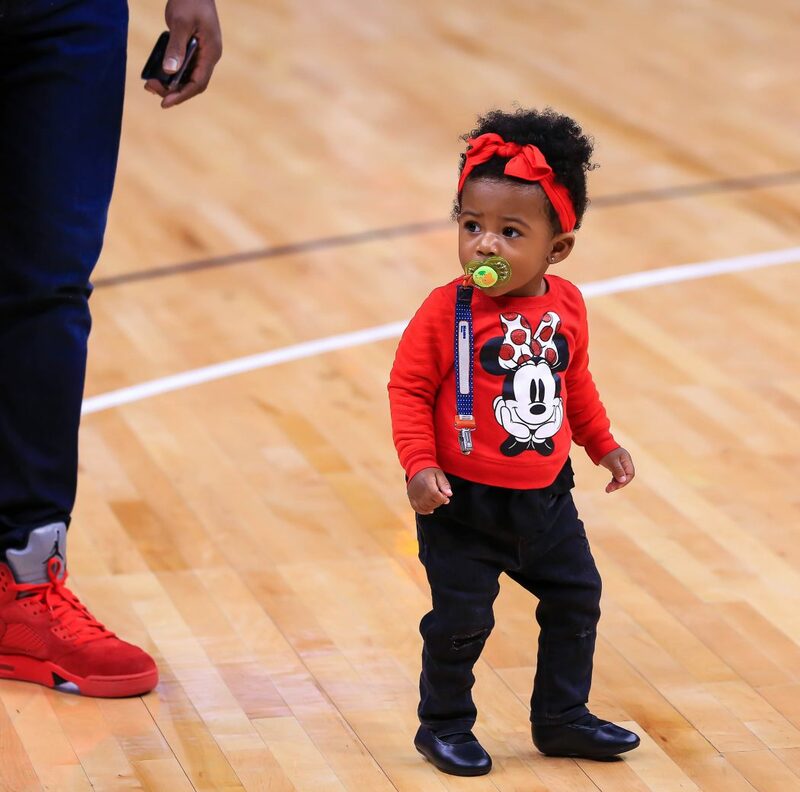 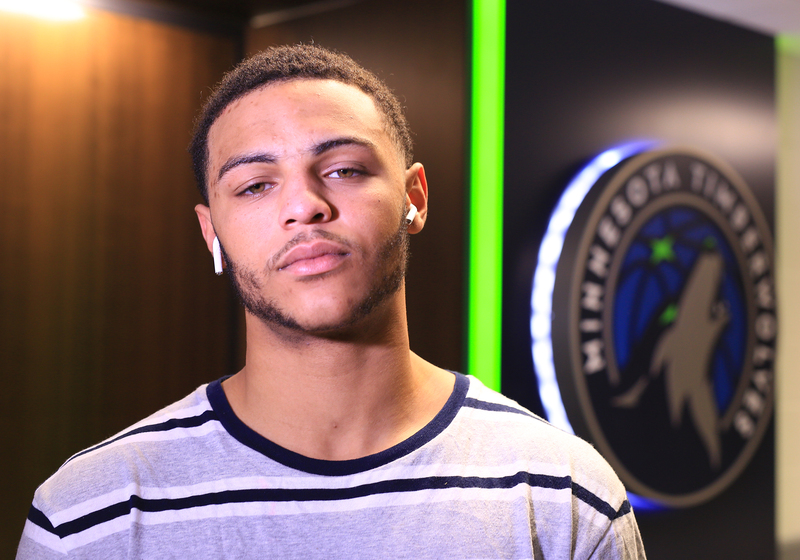 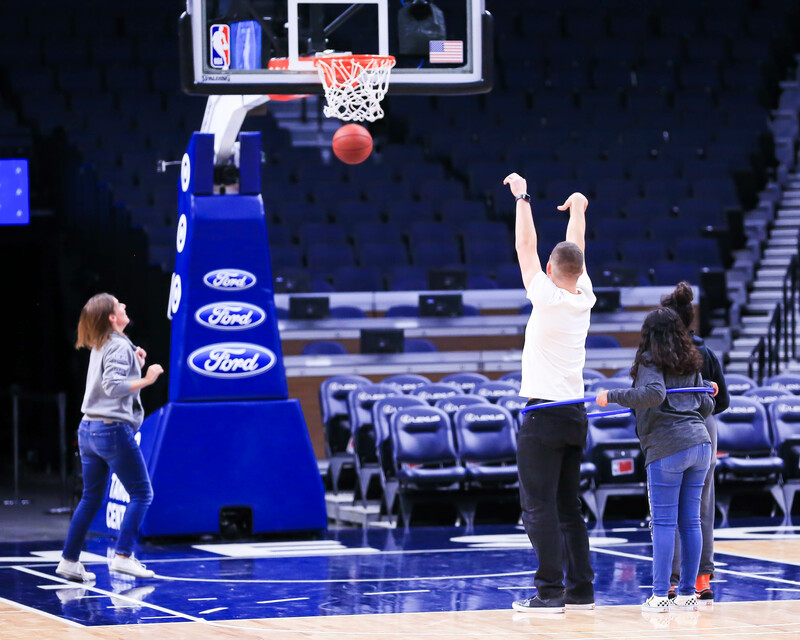 Originally from St. Paul, Keith Durham, 23, lettered in football (slot receiver/punt and kick returner) and track (high jump) at East Ridge High School in Woodbury, Minnesota, but he did not play varsity basketball for the Raptors. Durham’s a 6-foot, 155-pound reserve guard on the Blue Knights. 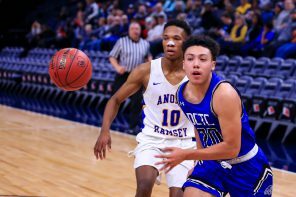 He scored 13 points, including four 3-pointers, and pulled down five rebounds vs Anoka-Ramsey, adding one steal, one blocked shot and two assists. 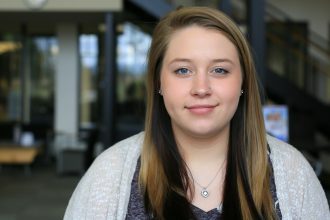 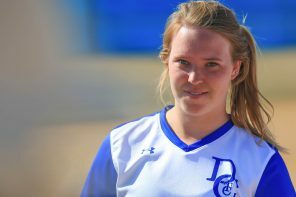 Durham is a sophomore at DCTC. 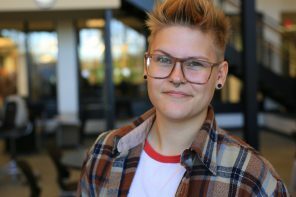 He’s taking general education courses and earning a Personal Training certificate with plans to transfer to a four-year school. 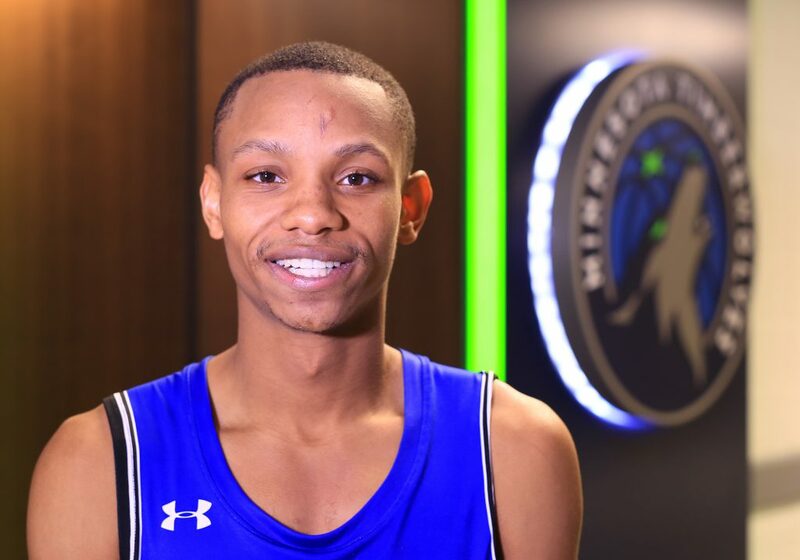 He has focused his career goals on becoming an athletic trainer. 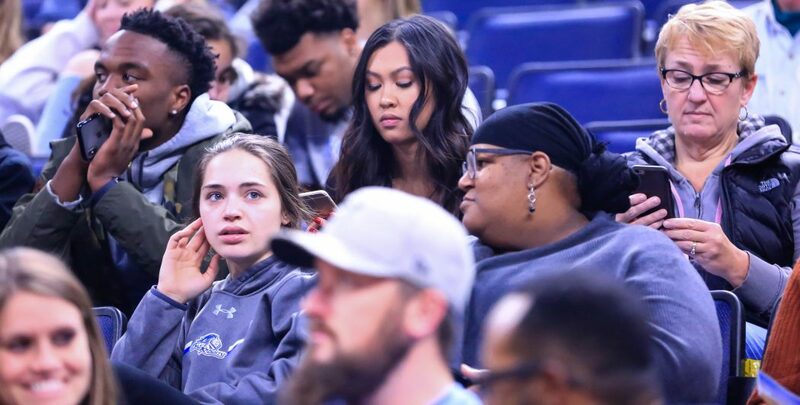 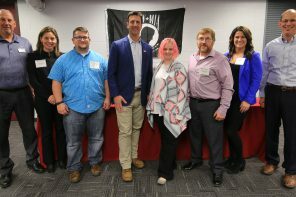 In his free time, Keith Durham enjoys hanging out with his fiancée, Nicole Durham, 24, who’s studying to be an attorney at Mitchell Hamline School of Law. 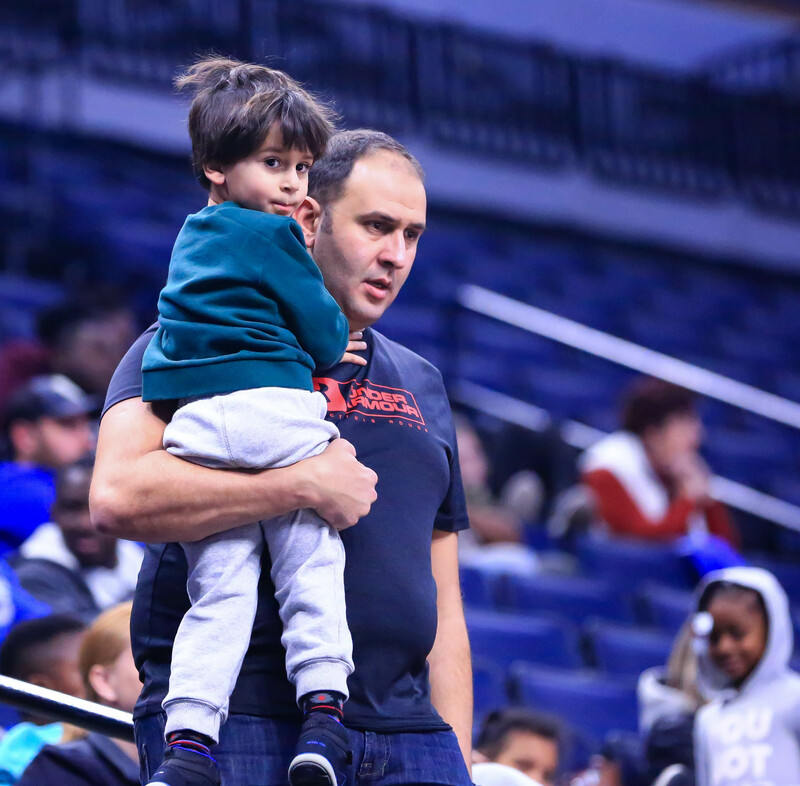 He also likes to catch up on his sleep whenever he can. 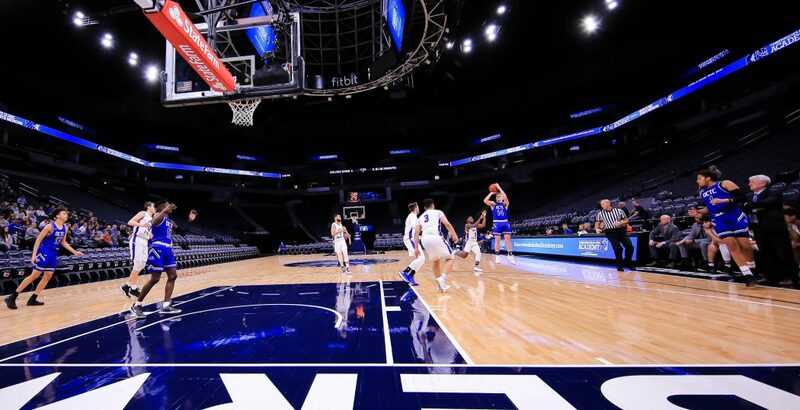 What’s one thing every college basketball player should know? 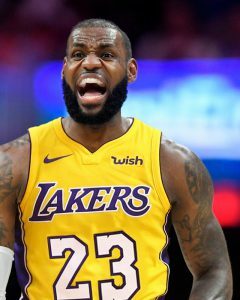 It’s not all about being a star. 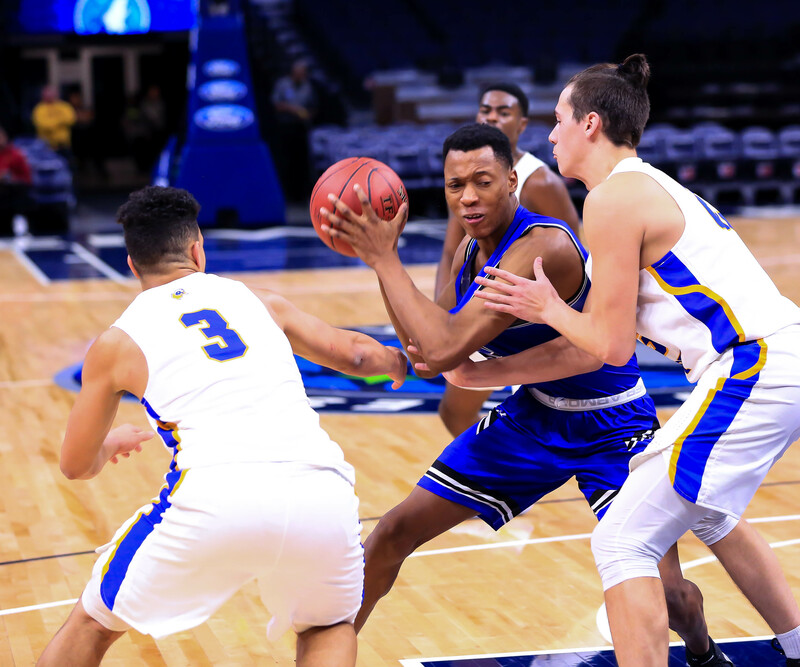 You play as a team and you need to be selfless. 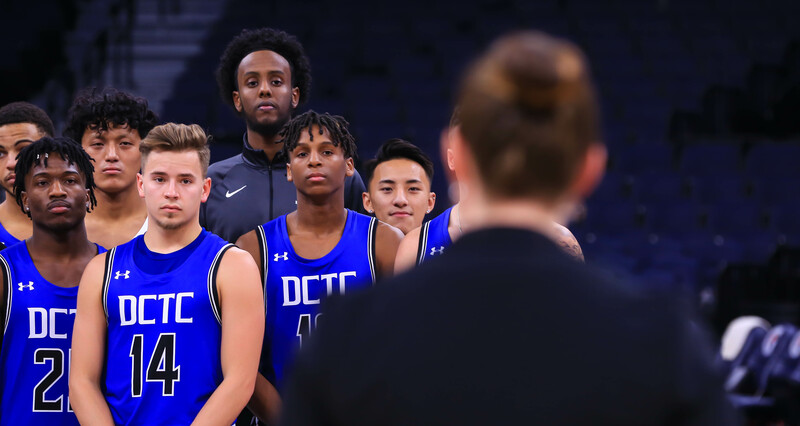 What is your greatest strength as a basketball player? 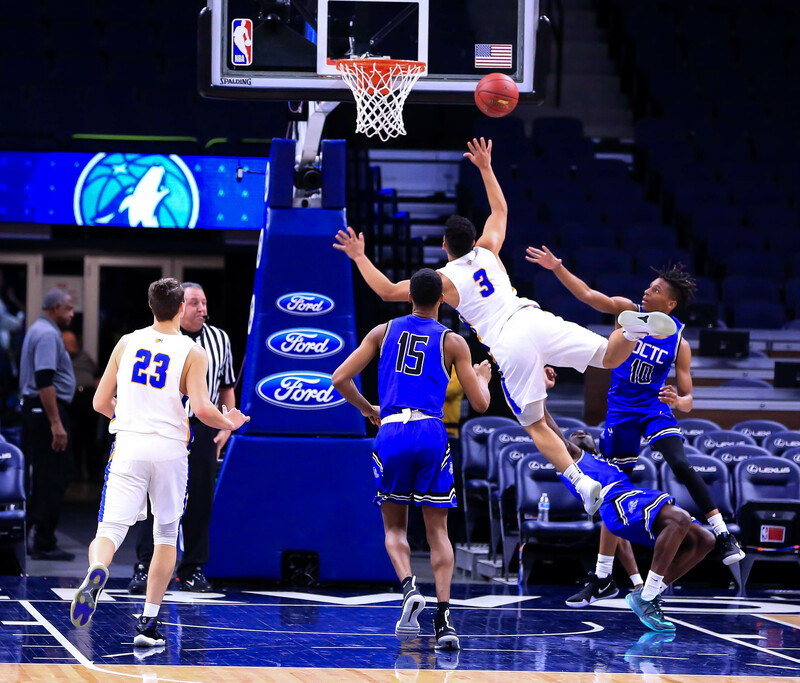 Defense—I like to block shots. 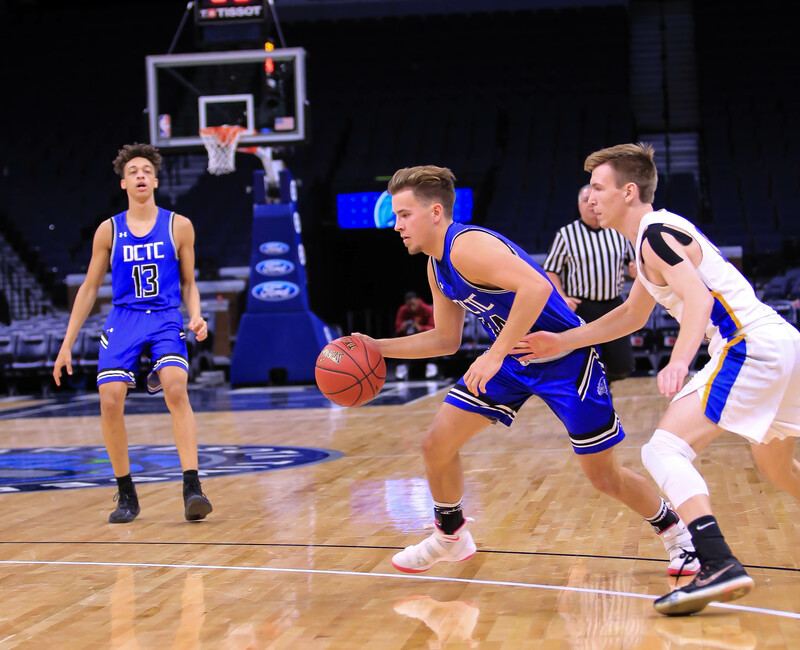 What do you like best about playing for the Blue Knights? 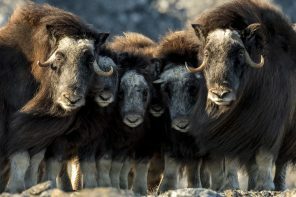 I like the team aspect. 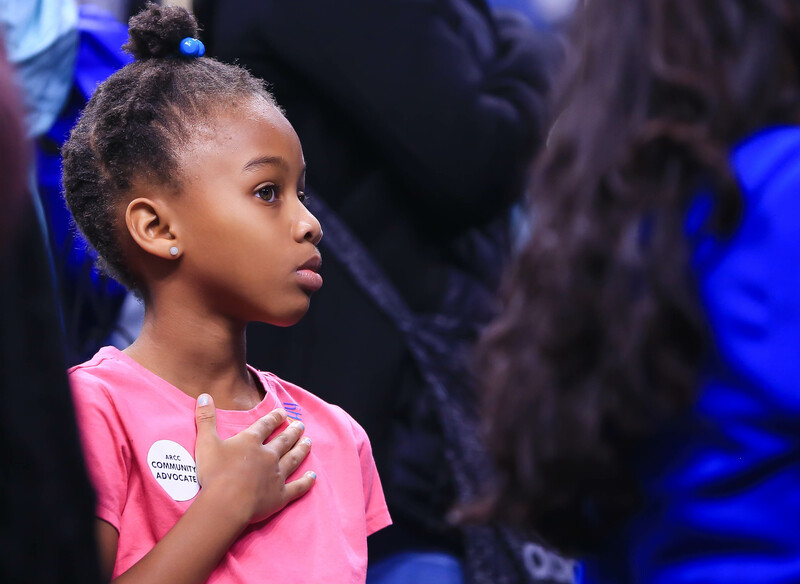 I like the unity. 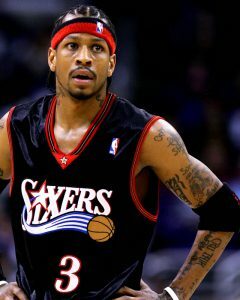 Who’s your favorite basketball player of all time? 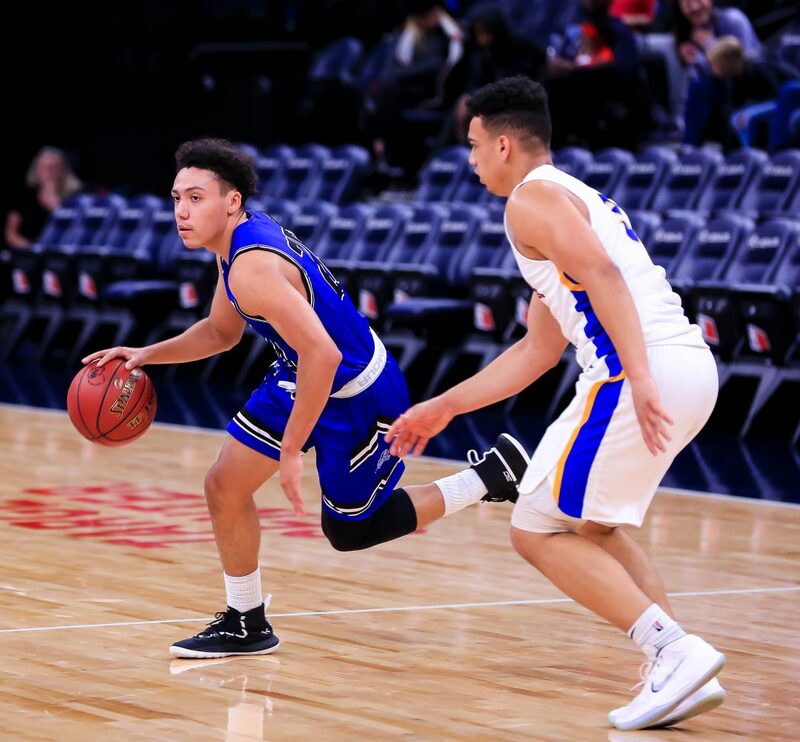 Jerimiah Coddon, 19, lettered in football (wide receiver) and basketball (point guard) playing for the Woodbury High School Royals, graduating in 2017. Coddon is a sophomore at DCTC earning an Associate of Science (A.S.) in Individualized Studies. 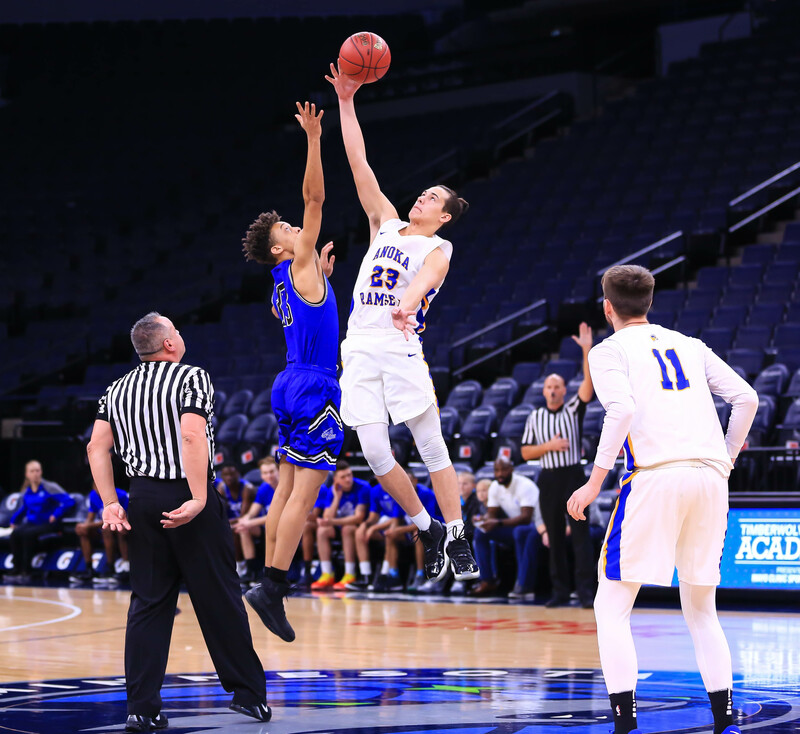 The 6-foot-3, 205-pound starting guard plans to transfer to a four-year university to play NCAA basketball. 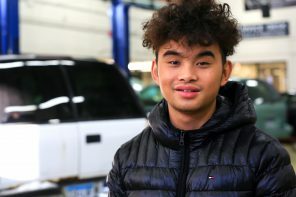 He’s undecided on his major and future career. 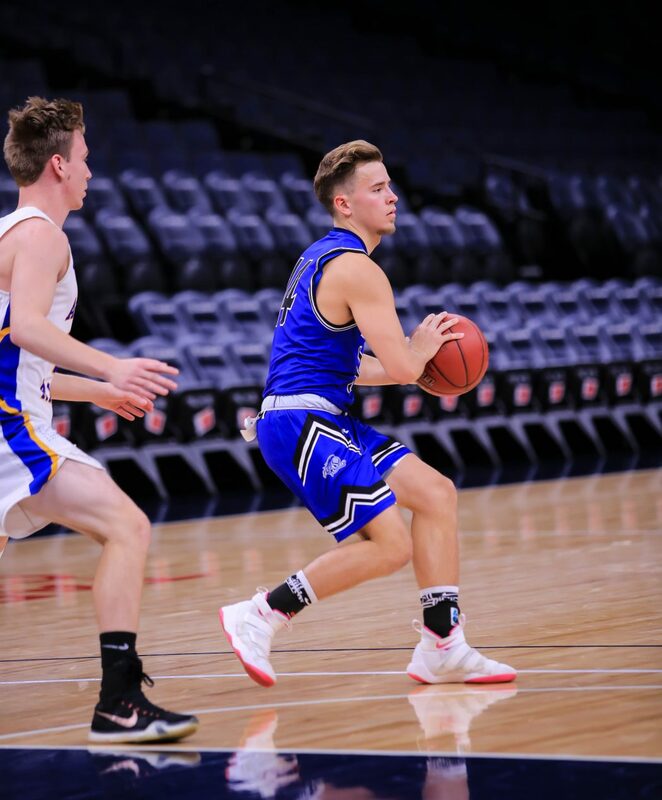 Against the Golden Rams, Coddon scored 12 points and grabbed 14 rebounds, 13 defensive. 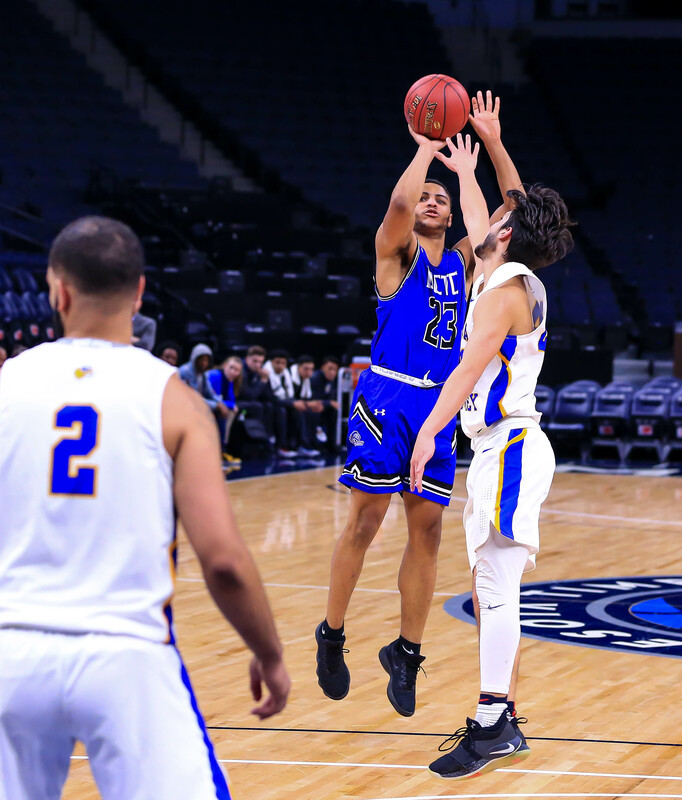 He added five assists, two steals and two blocked shots. 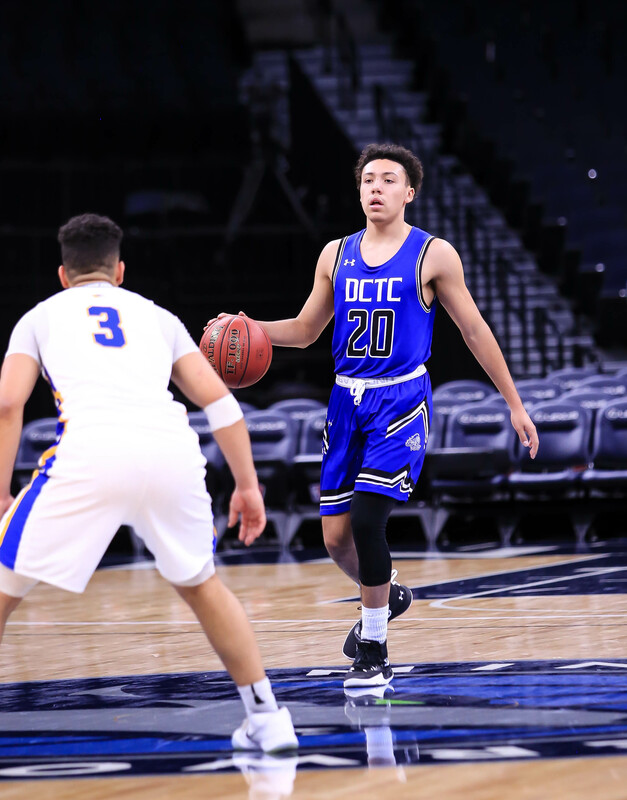 When he’s not studying or playing basketball, Jerimiah Coddon enjoys playing NBA 2K and hanging out with his dad and uncle. 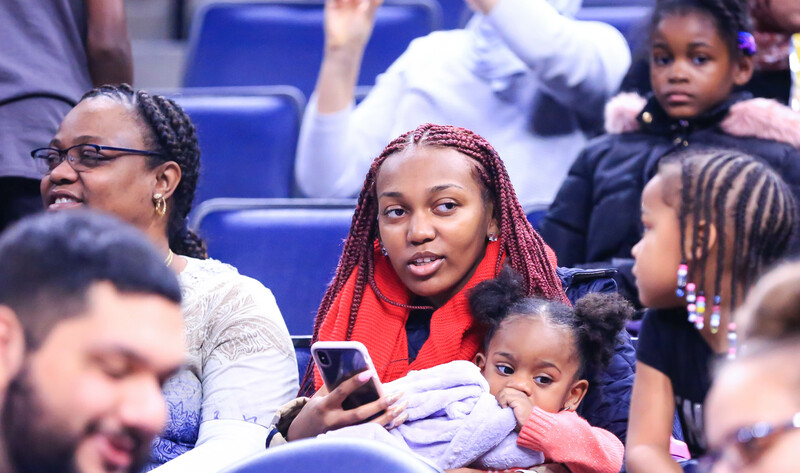 Family vibe that I get.